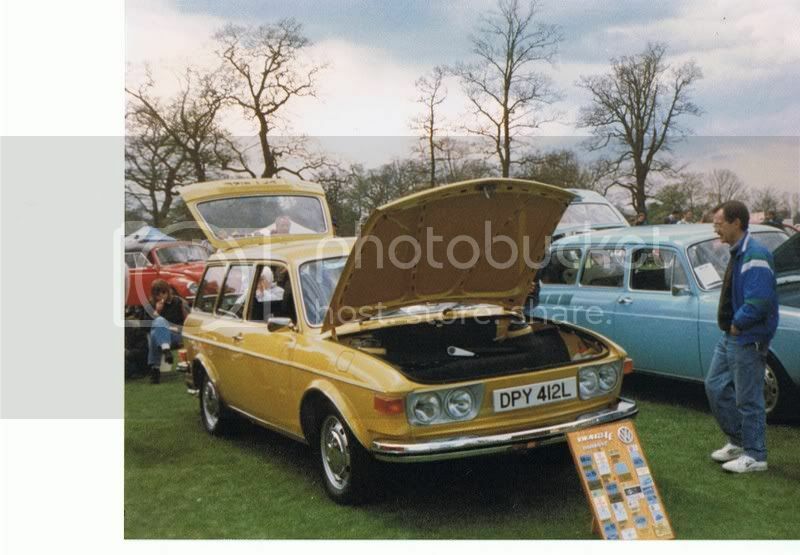 Time for some Type 4 Pics. 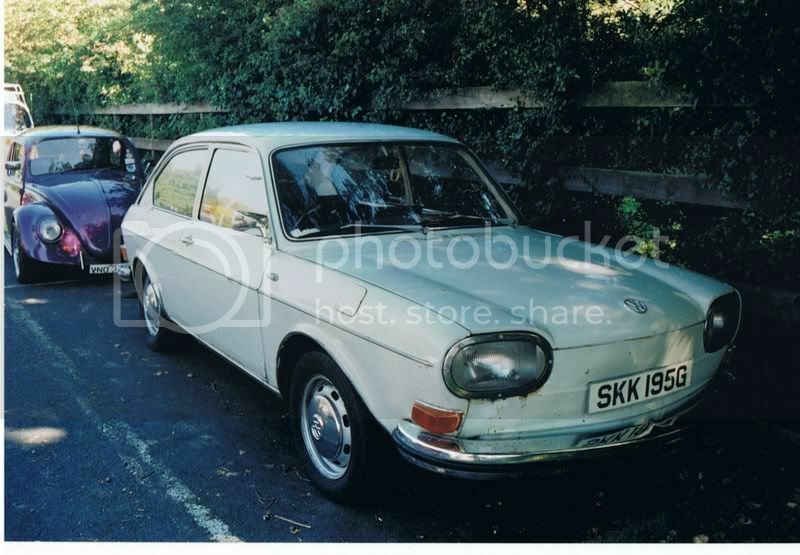 Started taking Pics of Type 4's way back in 1994, where are these now? 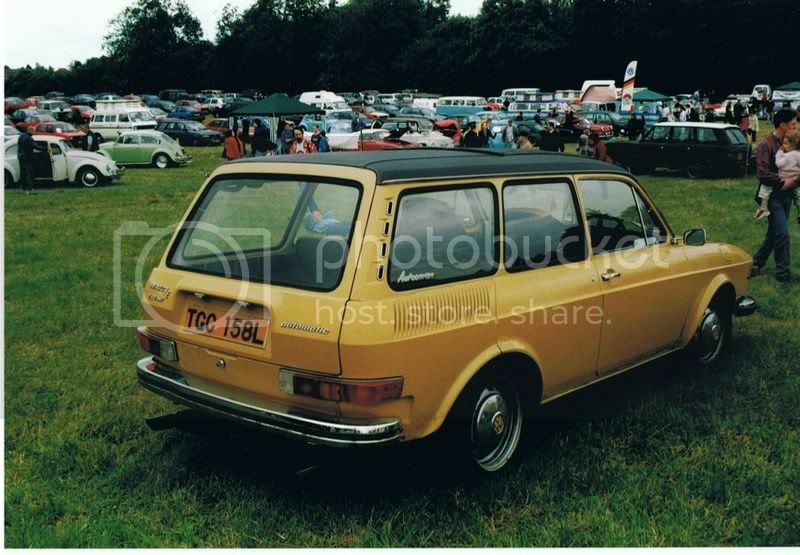 The survival rate for Type 4's is appalling! 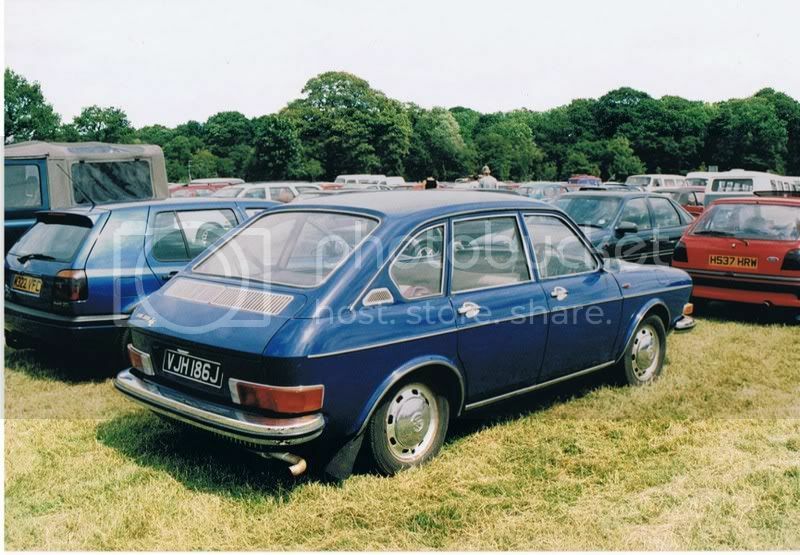 I doubt that there are more than 50 left in total in the UK. 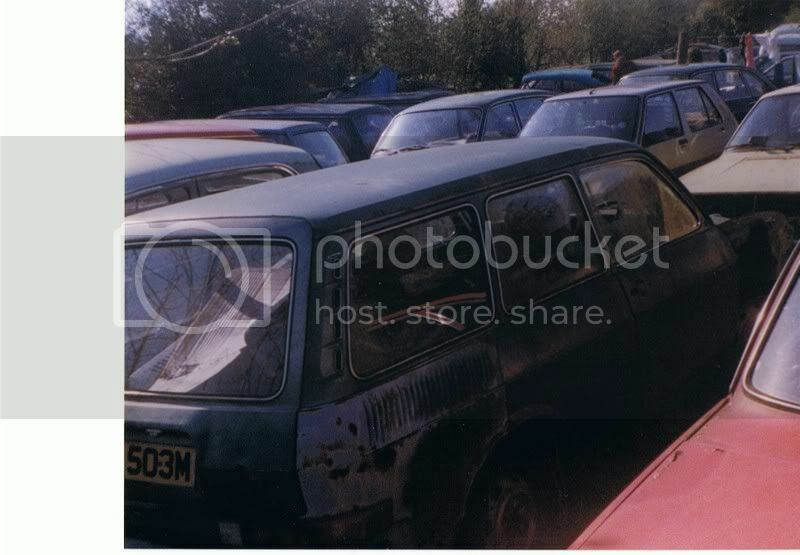 cant remember where it was though, it was where they had the replica of the Ship "Endevour"
lack of type 4 cars? 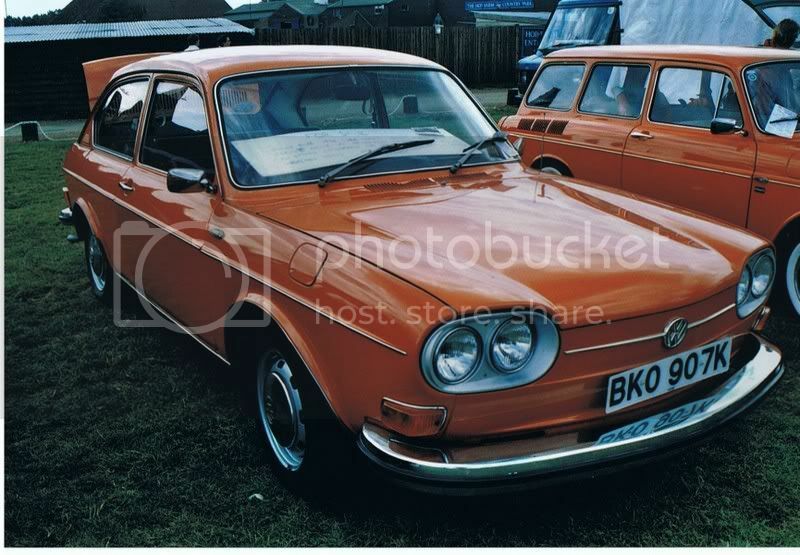 going through all the pictures it is sad that most of them will have been scrapped years ago, but it is good that you have taken the time and taken pictures of them, one bit of good news is that the orange 2 door 411 coupe is still on the road with me in sunny scotland? 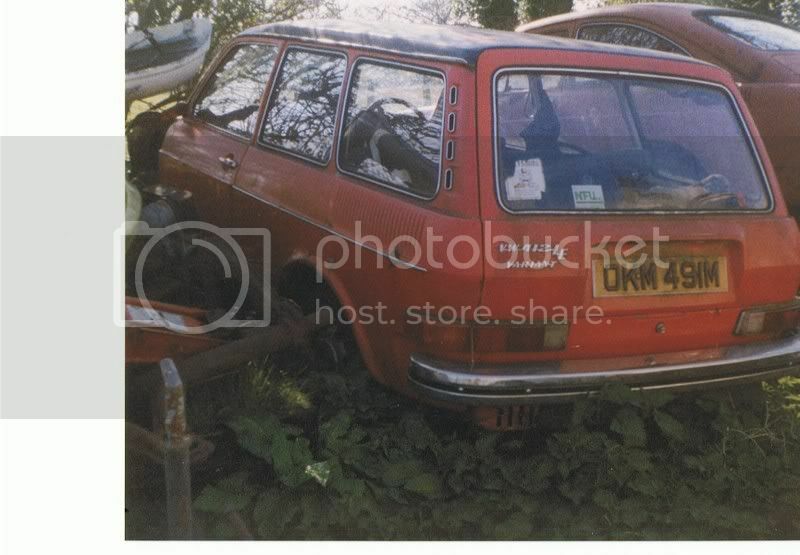 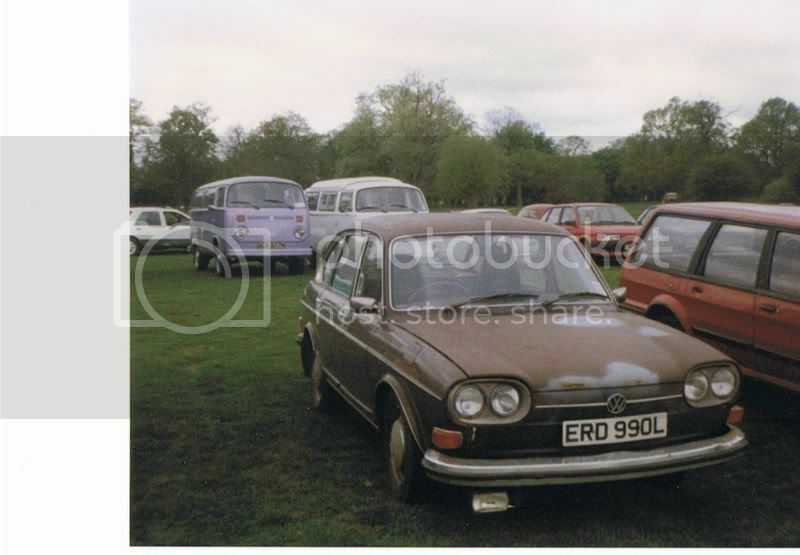 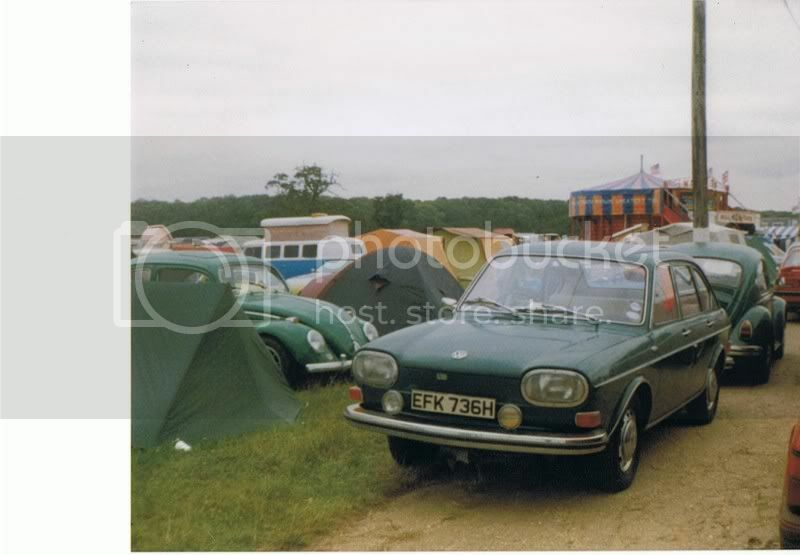 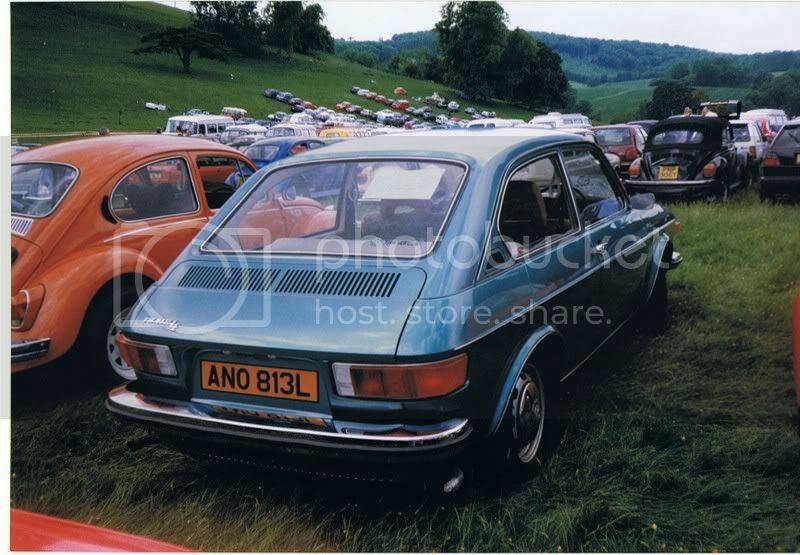 that is the car with the number BKO 907K ( I ALSO HAVE A RED ONE WHICH IS PSX 83K ) and hopefully it will be back on the road sometime as well, cheers for now cliff. 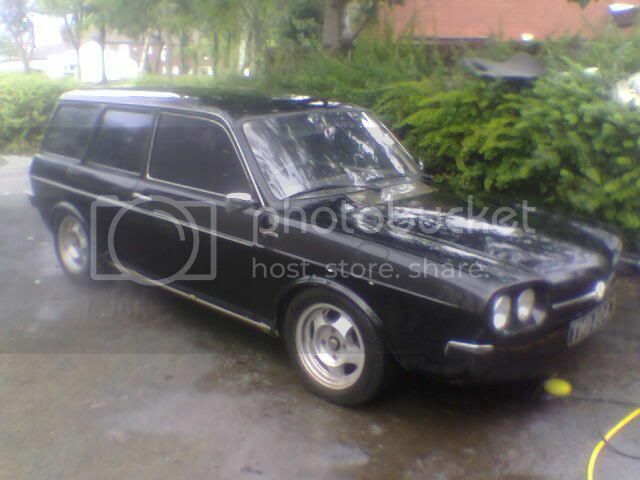 This one is still alive!!! 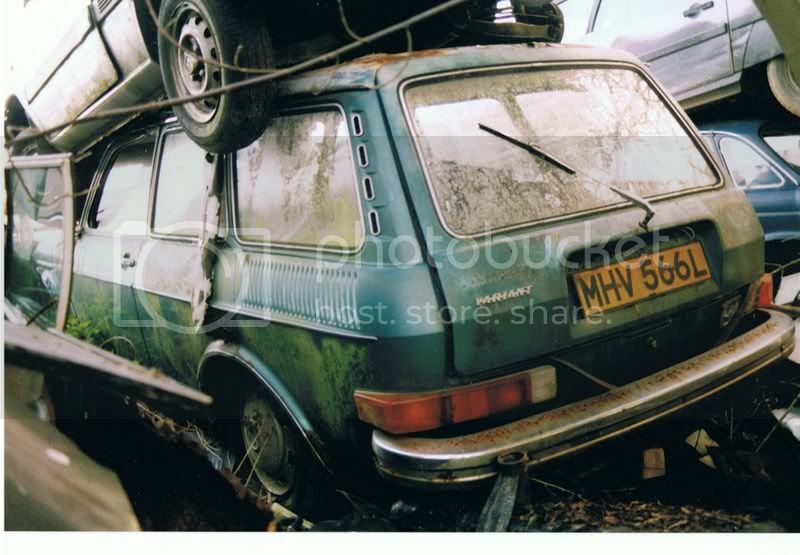 I have it ,but am still looking for window seals and a good sedan bootlid to aid resto!!! 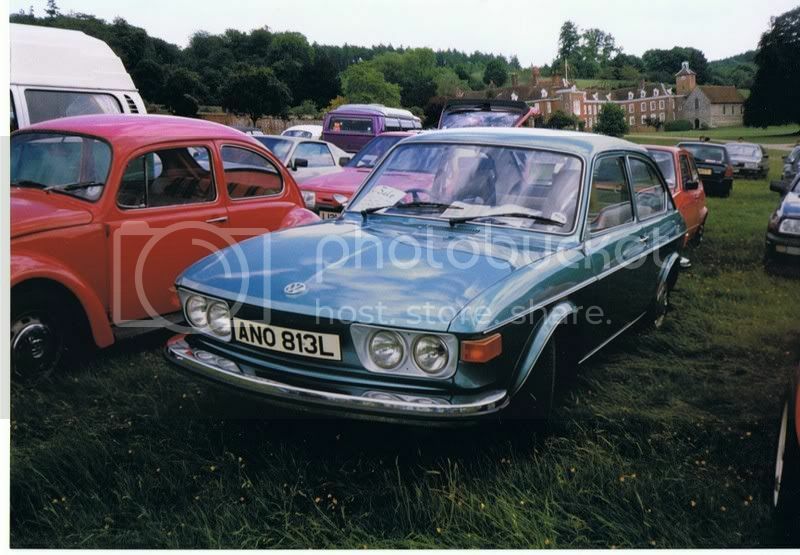 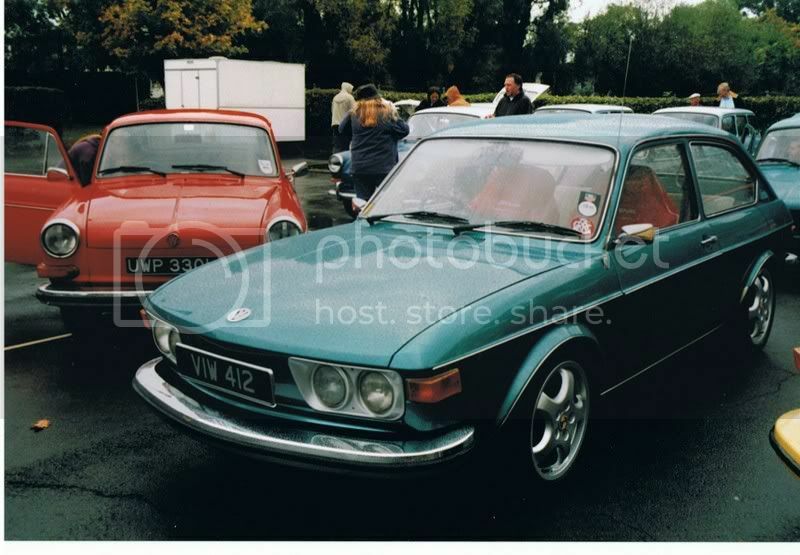 The turqoise 2 door 412, ANO 813L is the same car as VIW 412 and is about to undergo a complete respray in it's original colour. 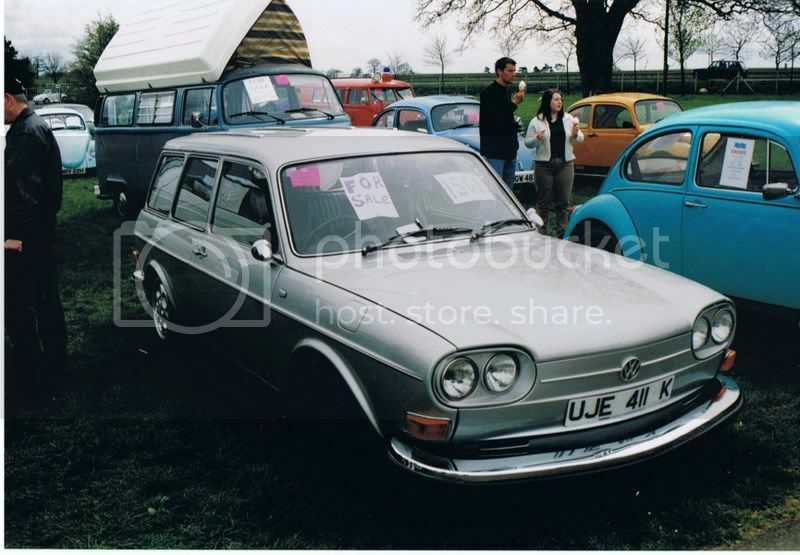 It's now on Beetle GT wheels and will hopefully be at a few shows next year. 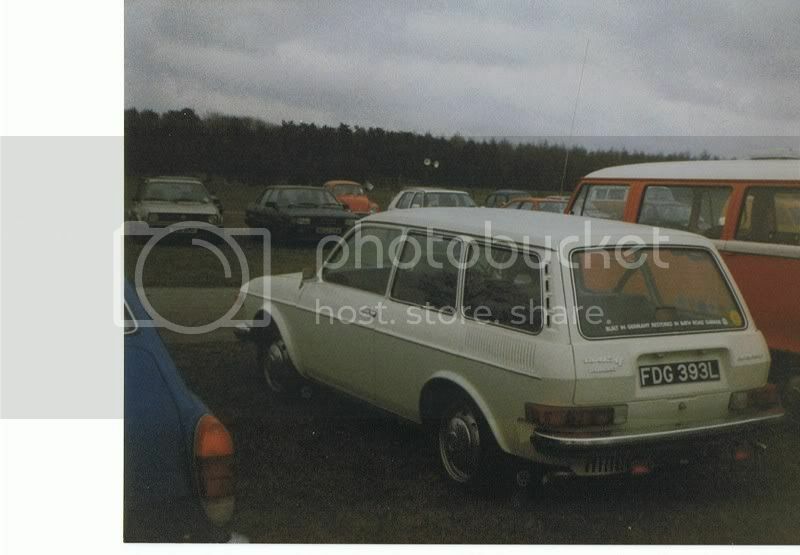 The white variant fdg 393l is now sat on my drive i picked it up the begining of the month . 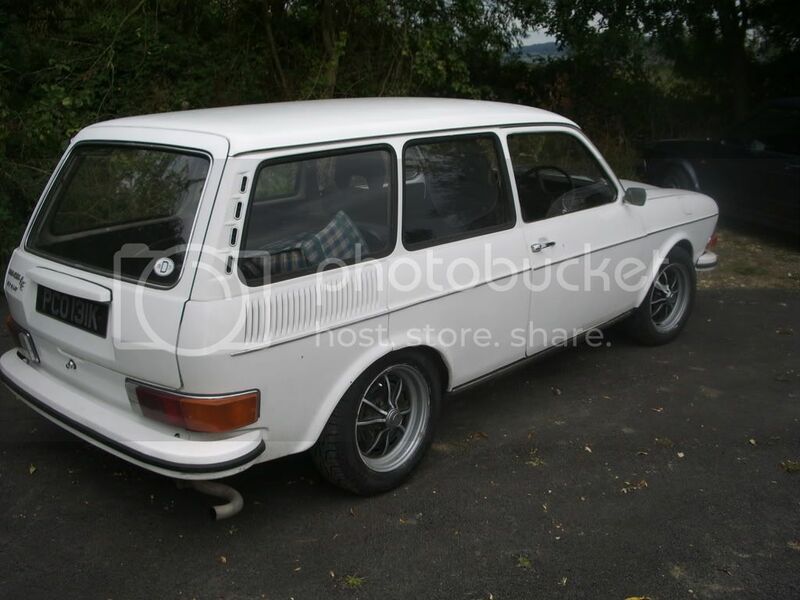 going for mot next week . 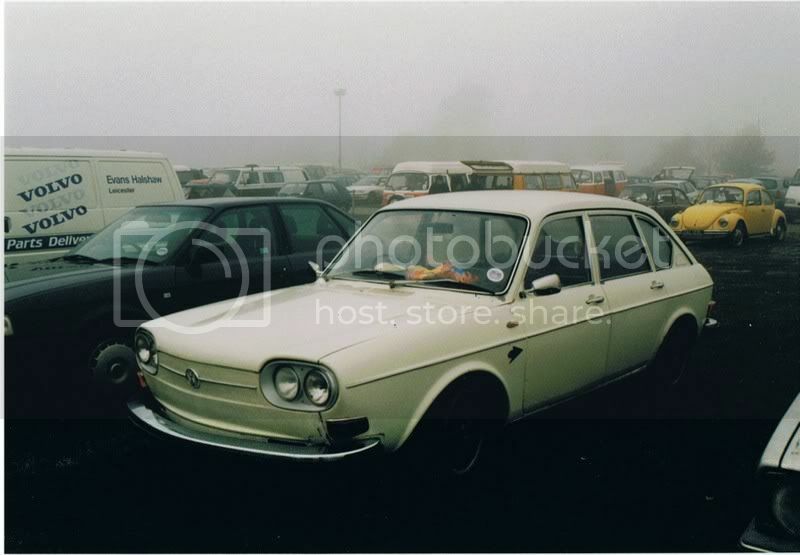 back on the road first time in 4 years . . can you give me any idea when and where you took the pictures ? 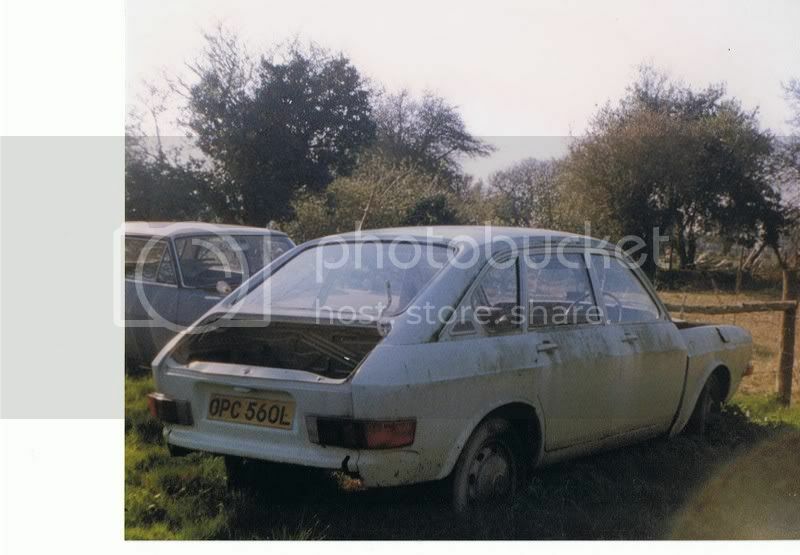 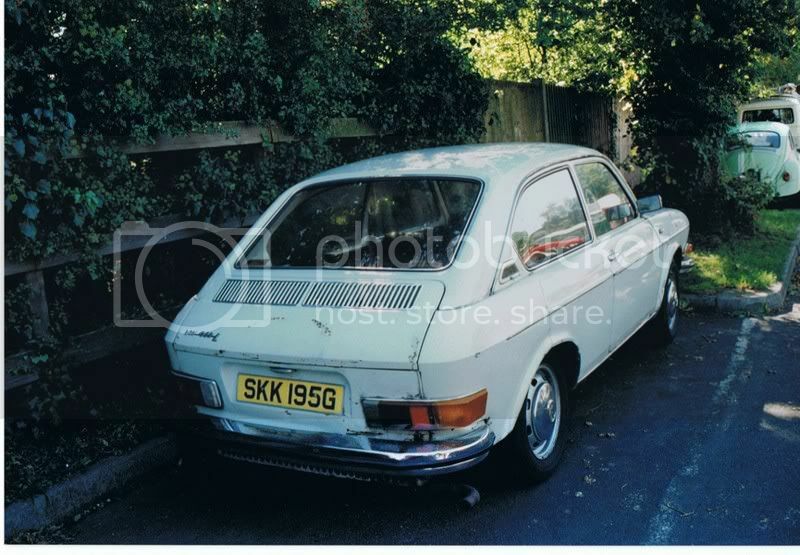 stanford wrote: The white variant fdg 393l is now sat on my drive i picked it up the begining of the month . 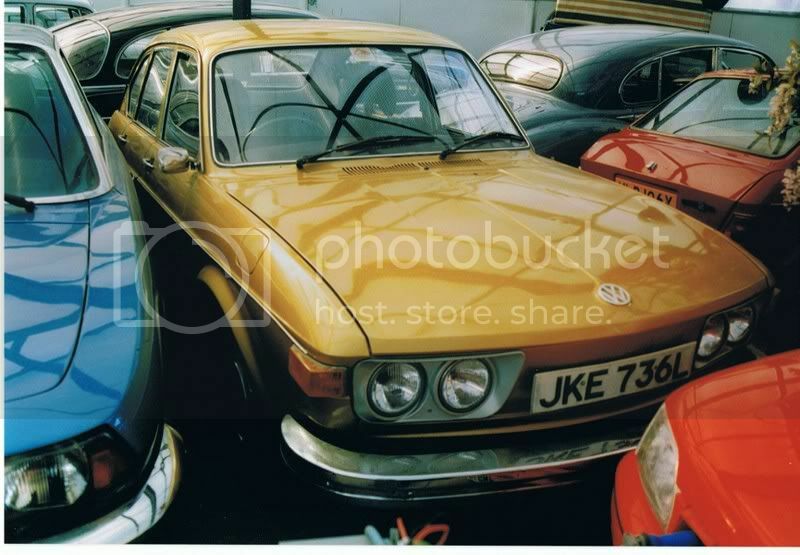 going for mot next week . 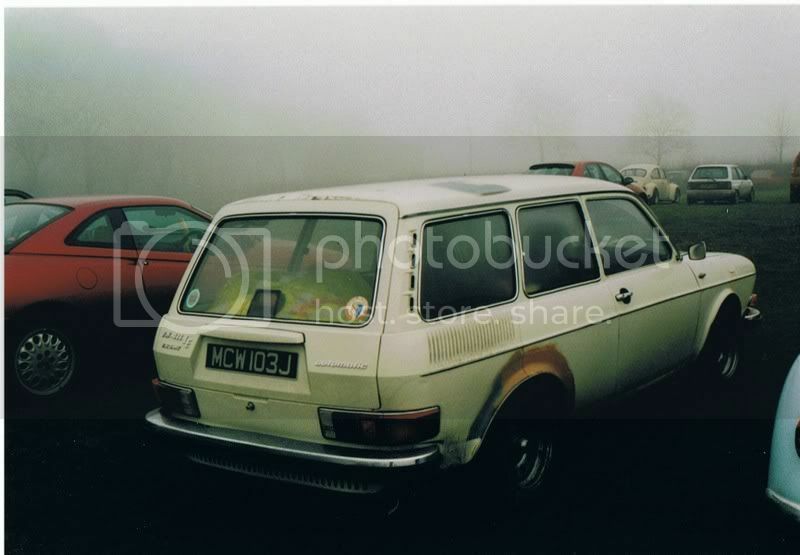 back on the road first time in 4 years . . can you give me any idea when and where you took the pictures ? 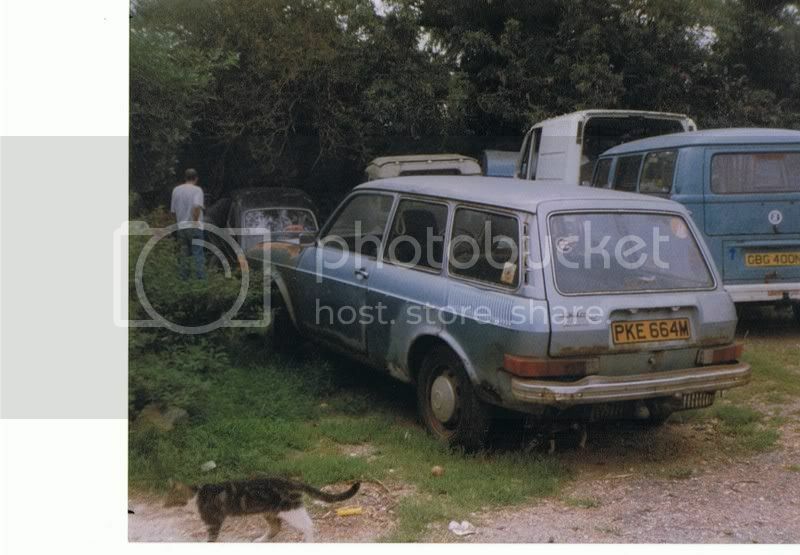 PCO 131K is on the road and used daily. 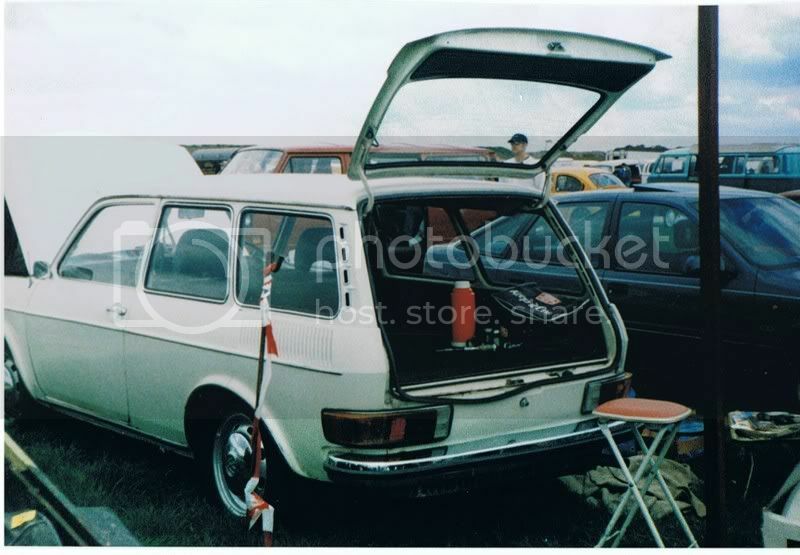 It is still white. 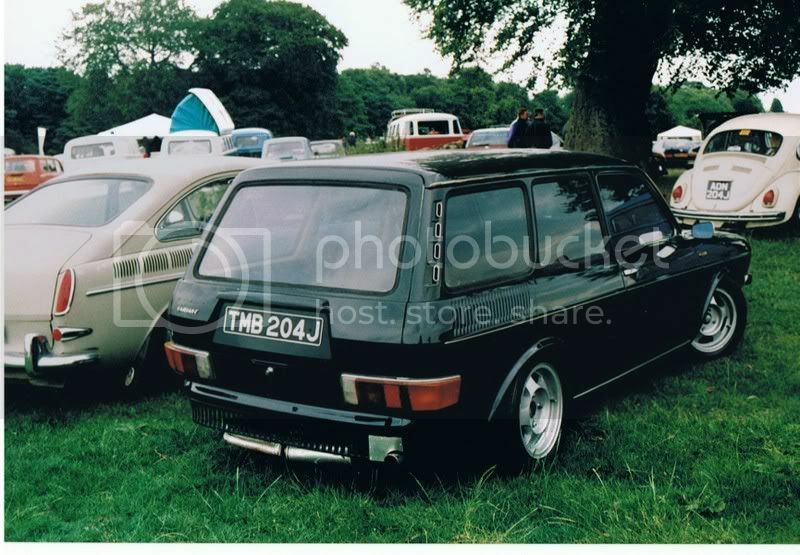 I notice that it has chrome bumpers in the picture whereas mine were sprayed white when I bought it. 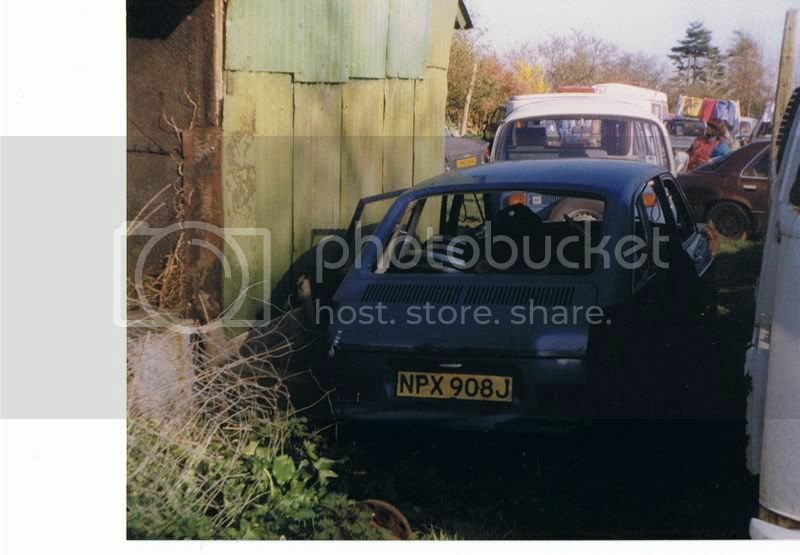 Any idea where/when you took the picture Danny? 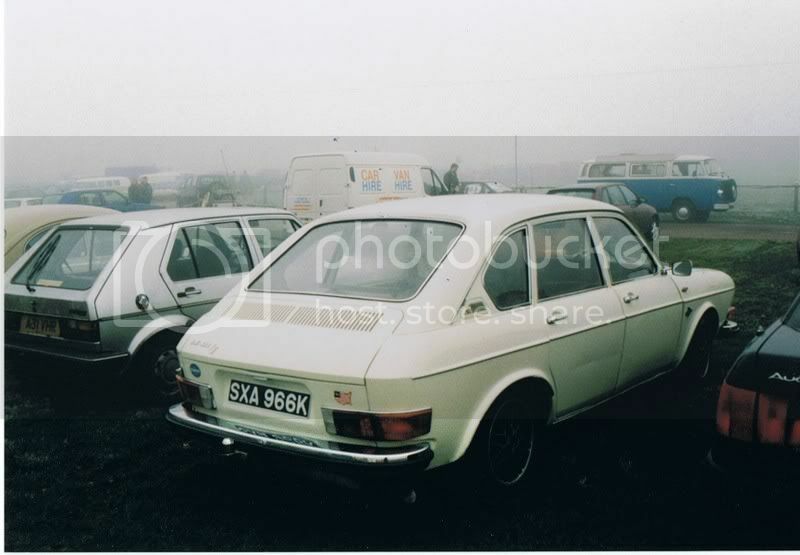 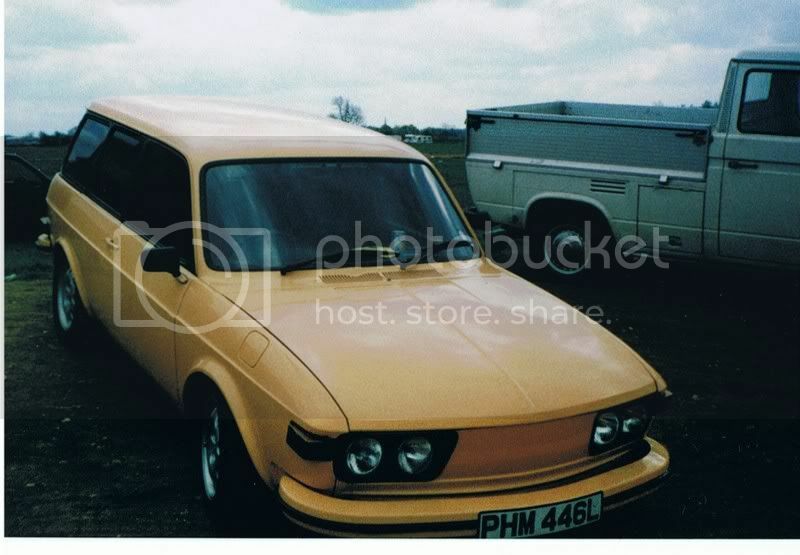 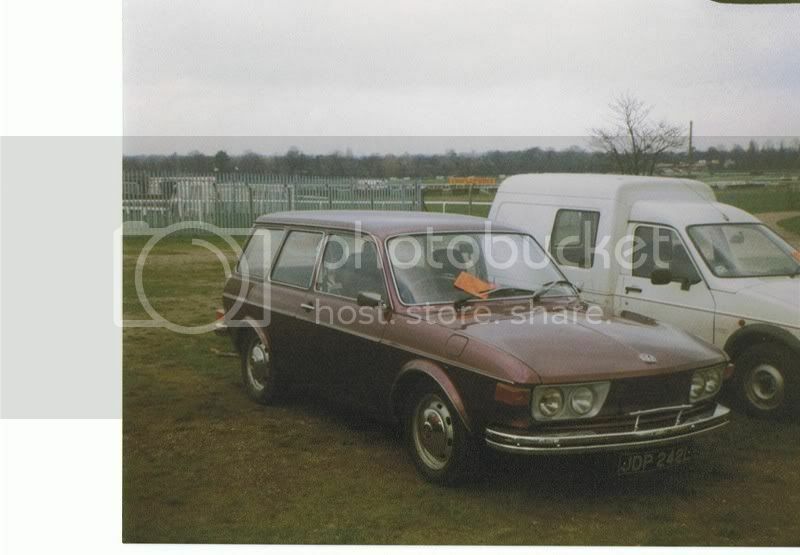 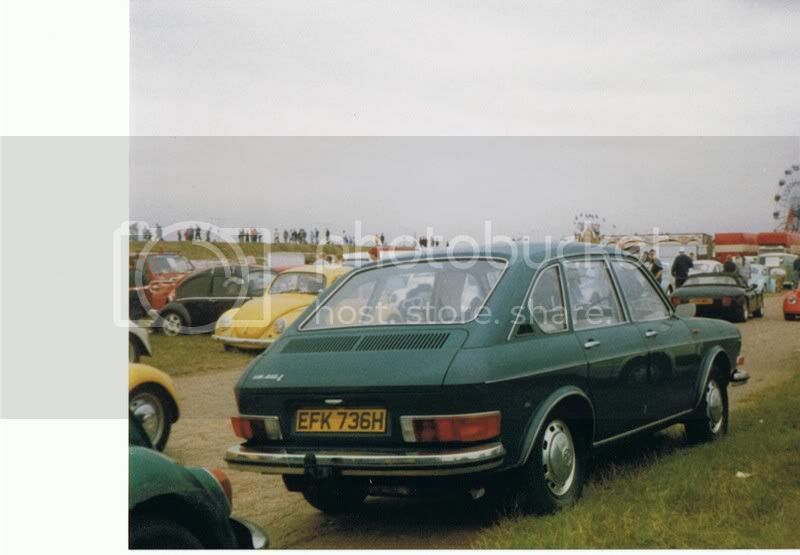 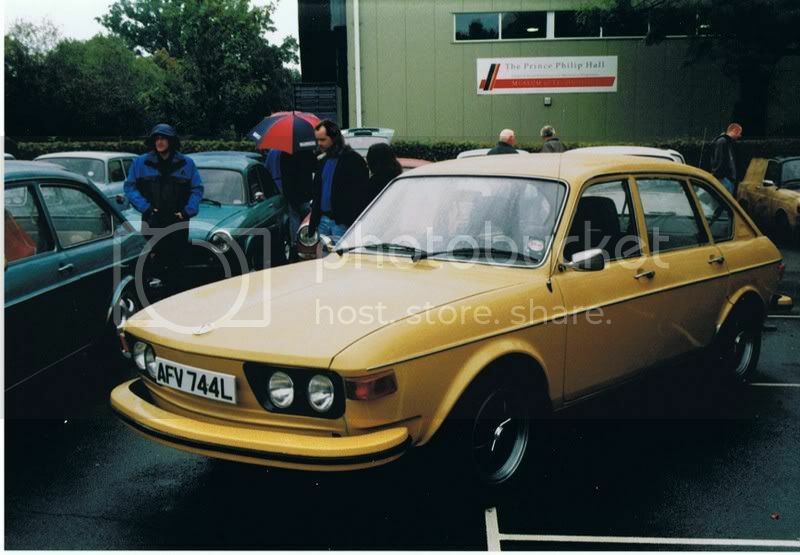 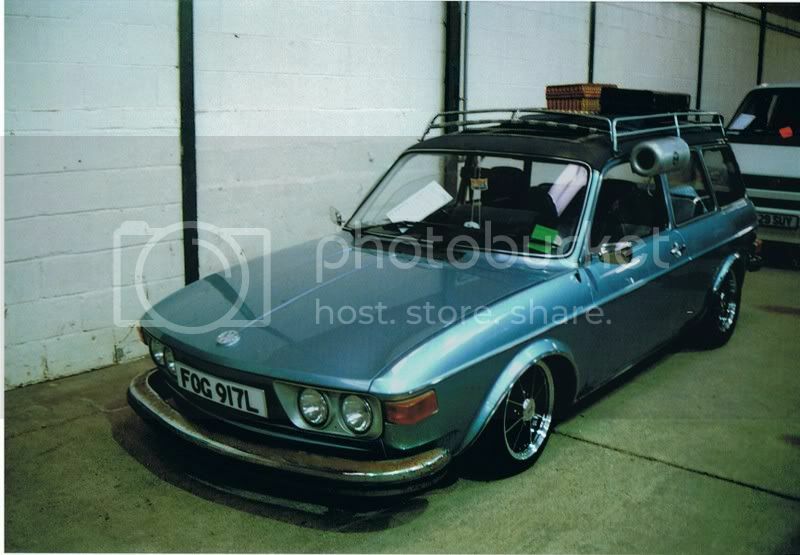 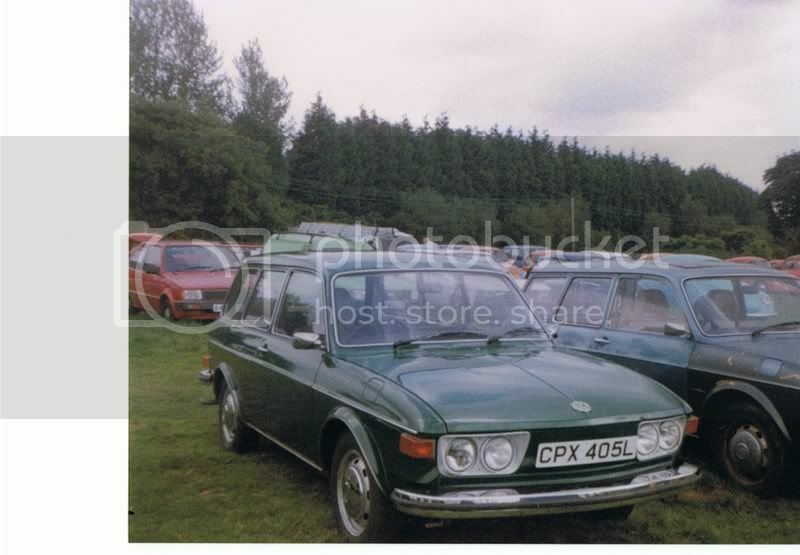 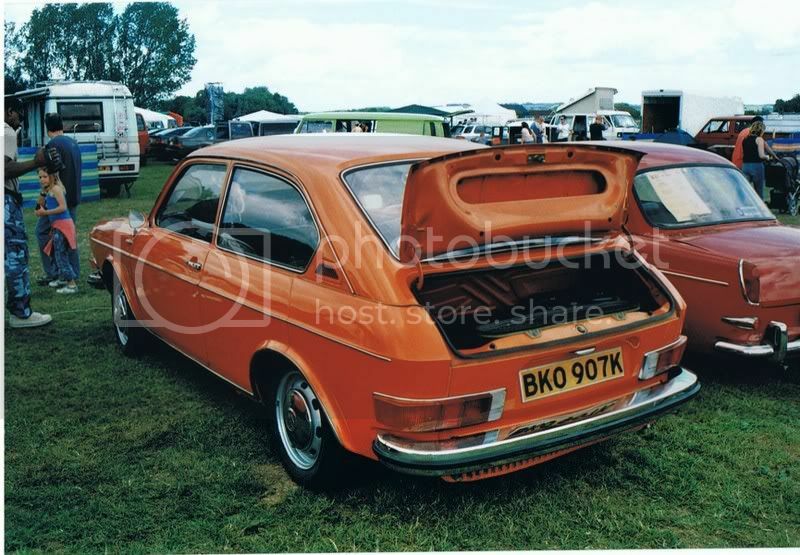 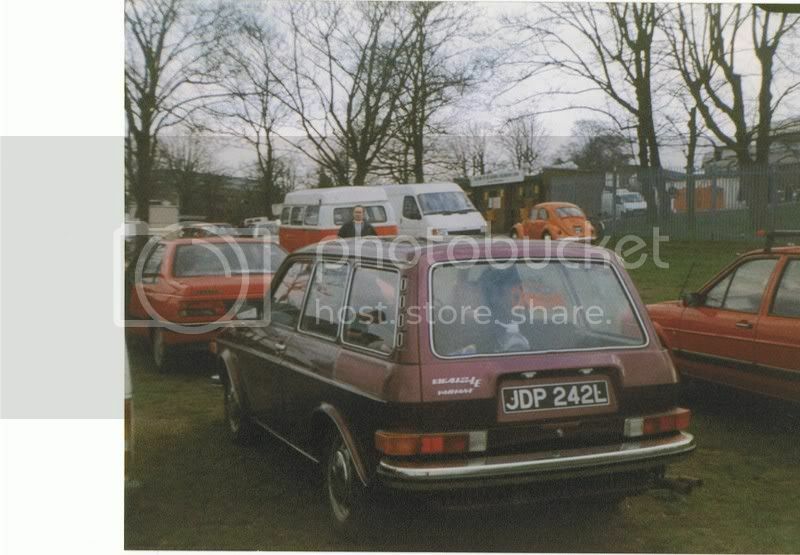 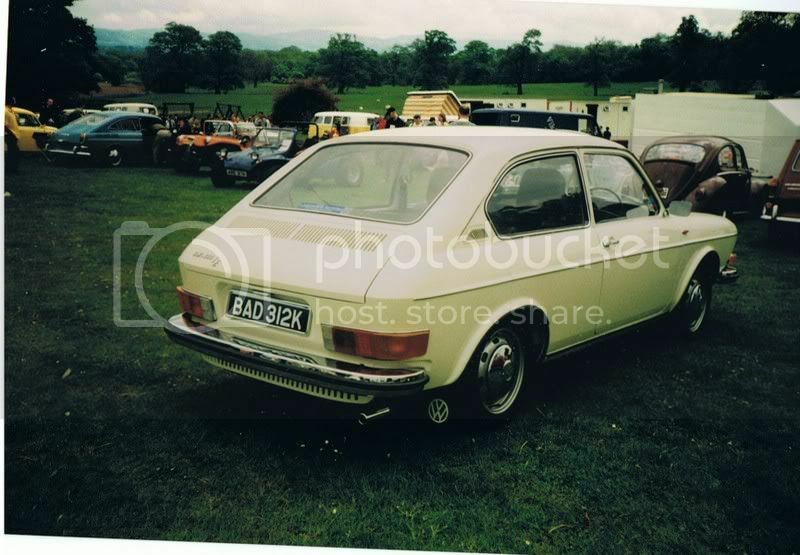 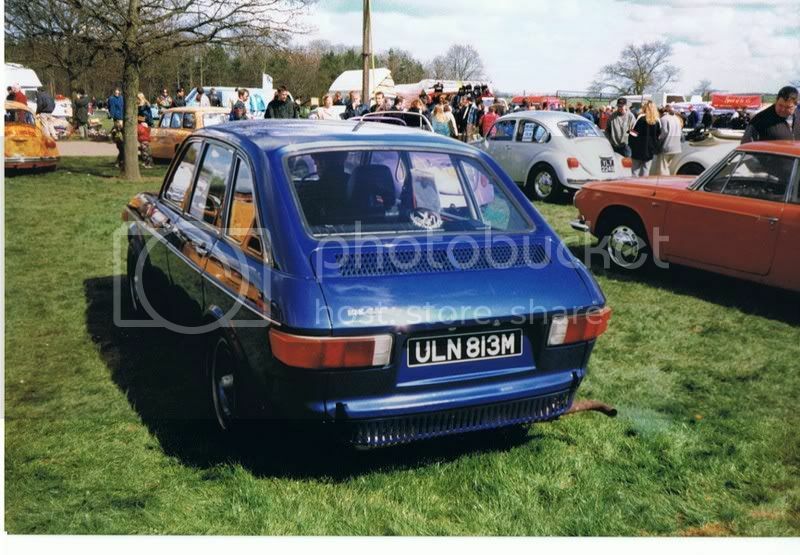 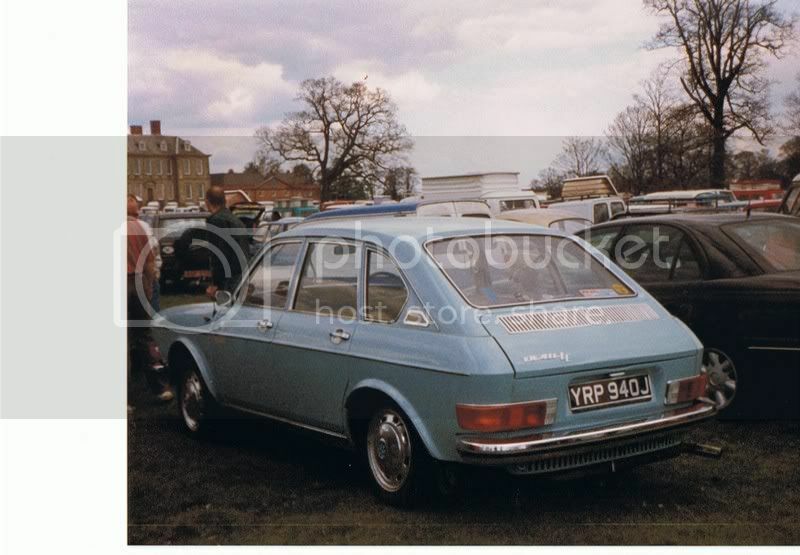 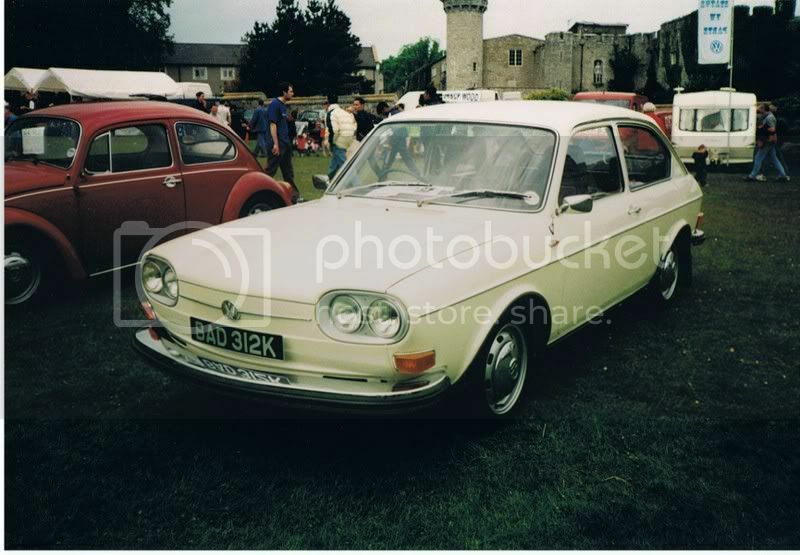 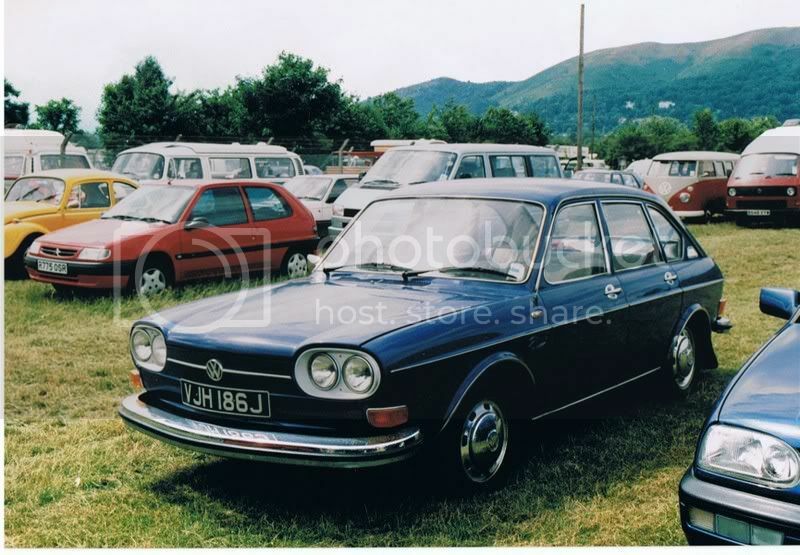 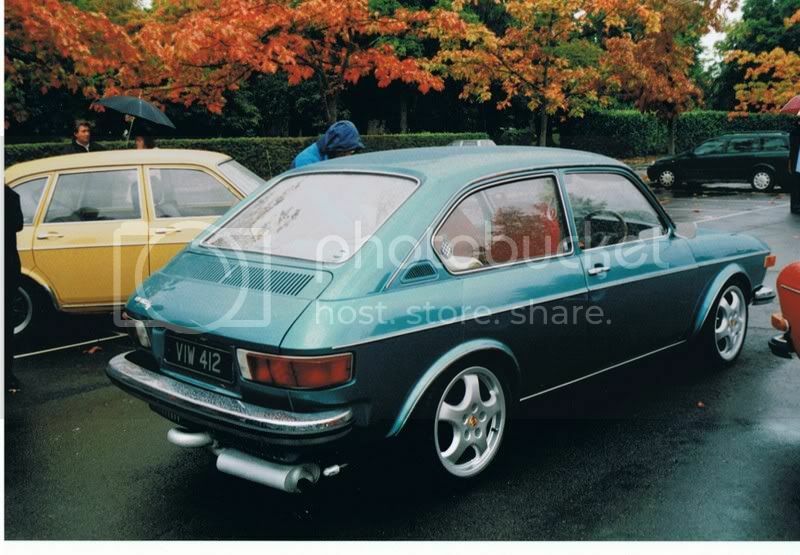 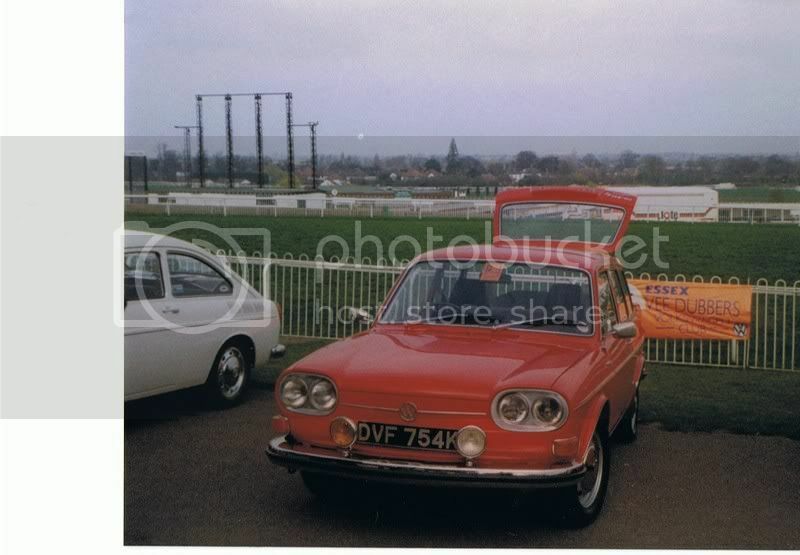 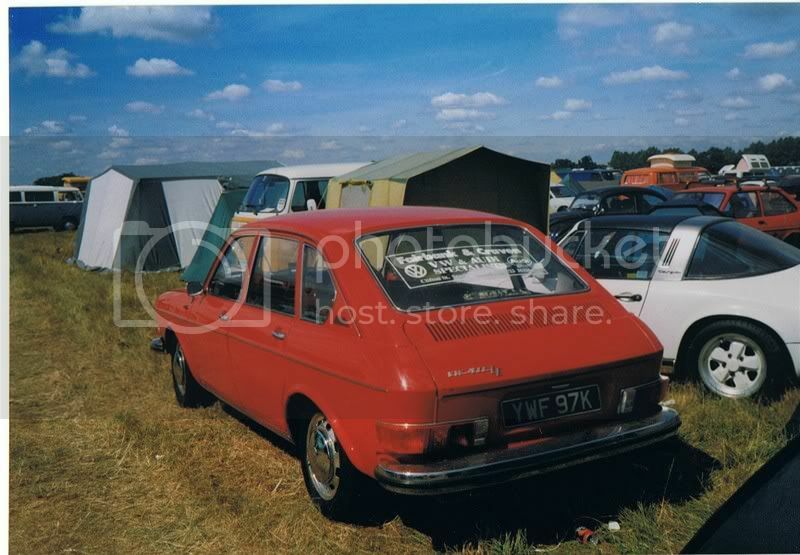 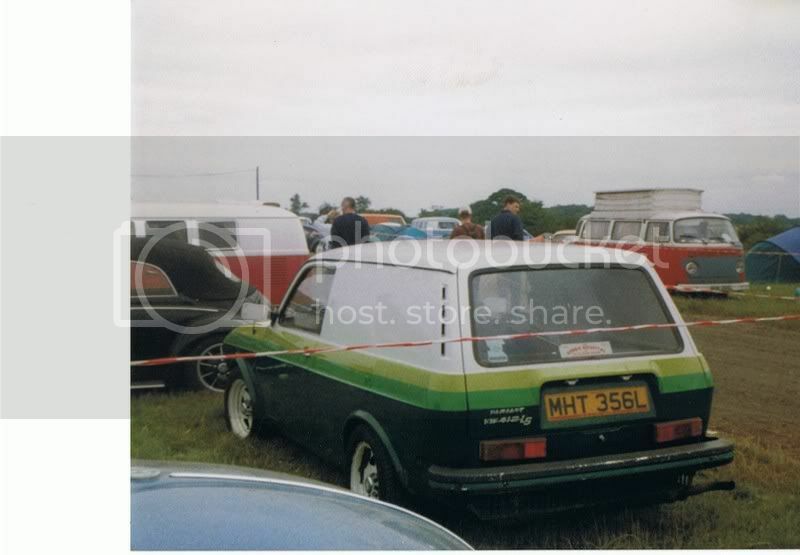 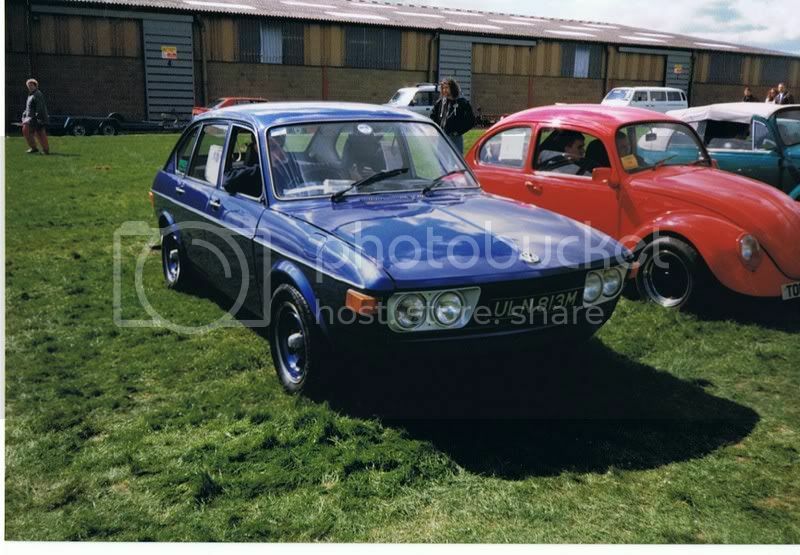 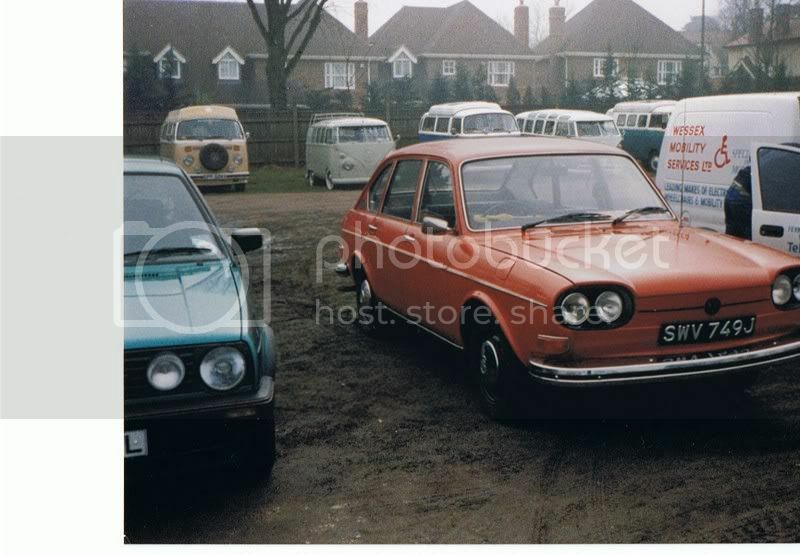 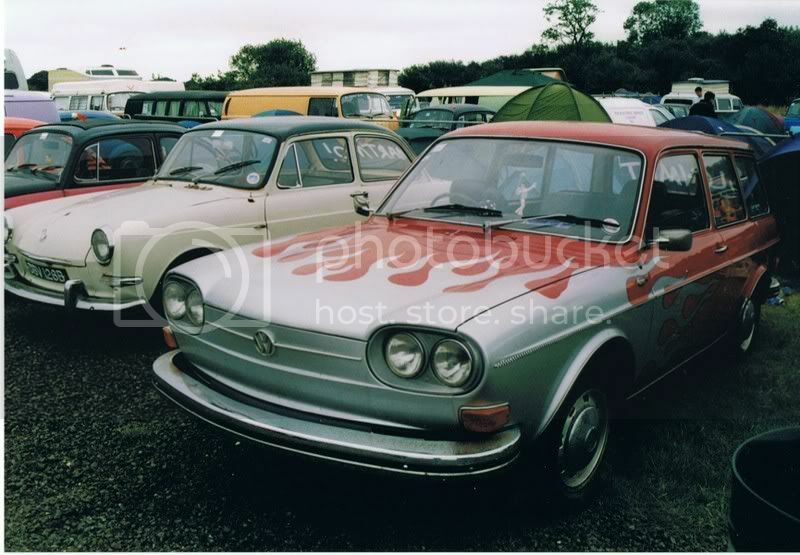 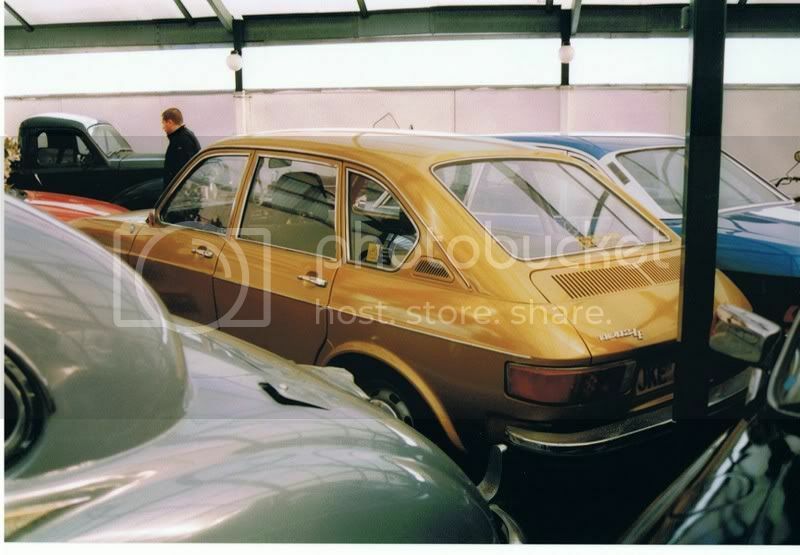 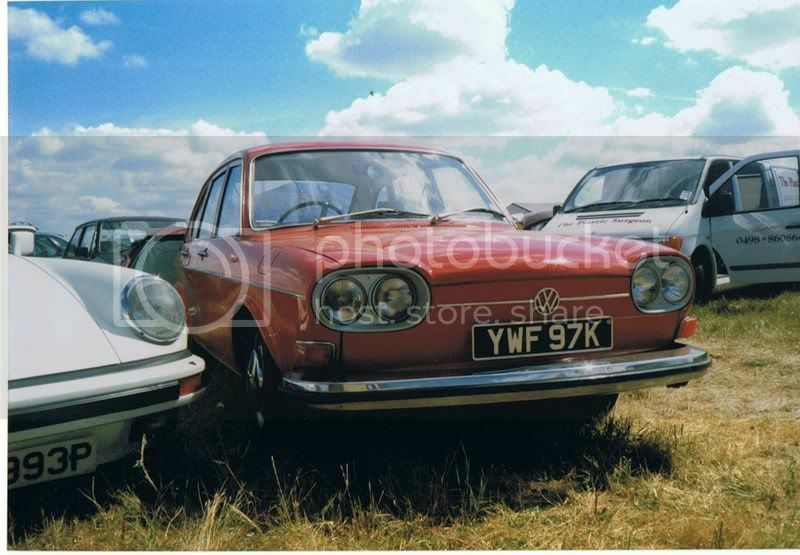 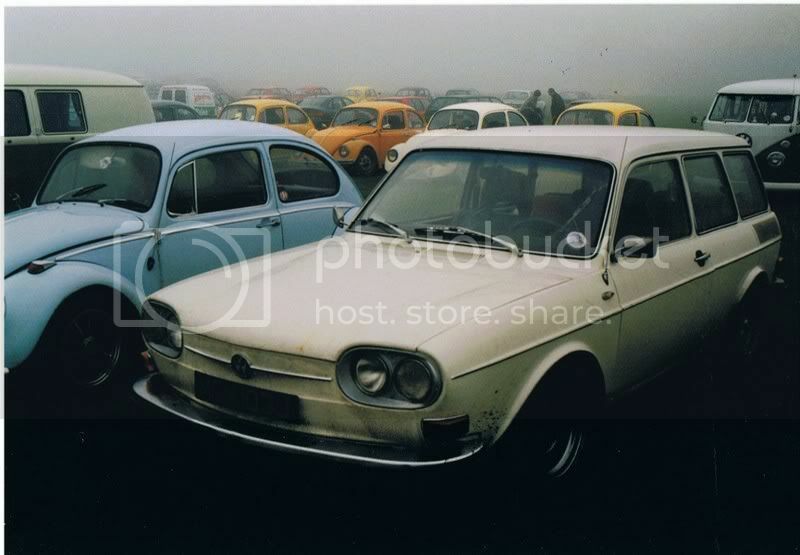 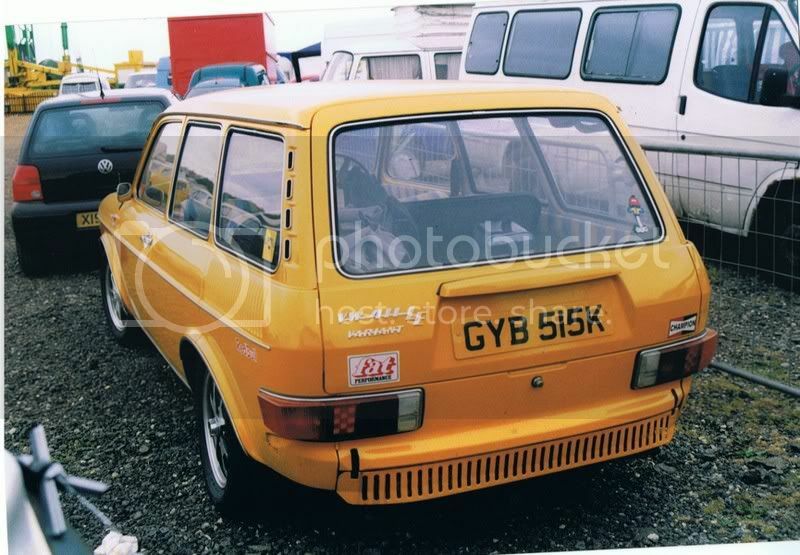 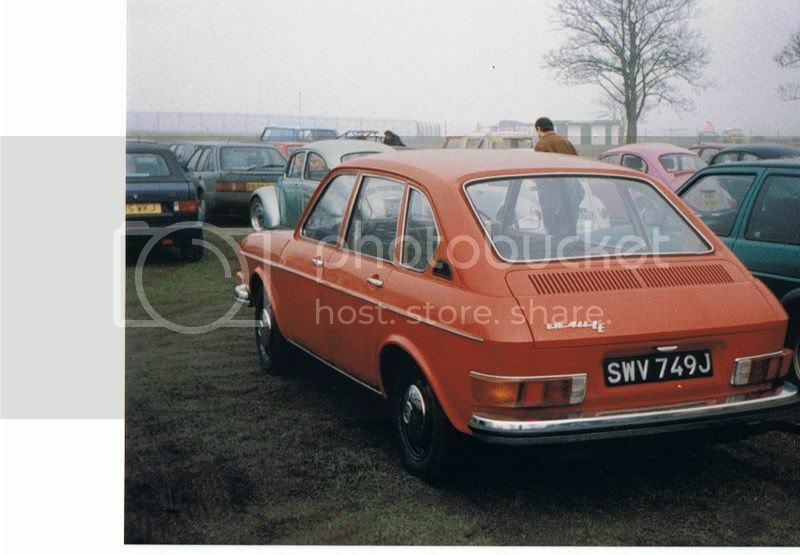 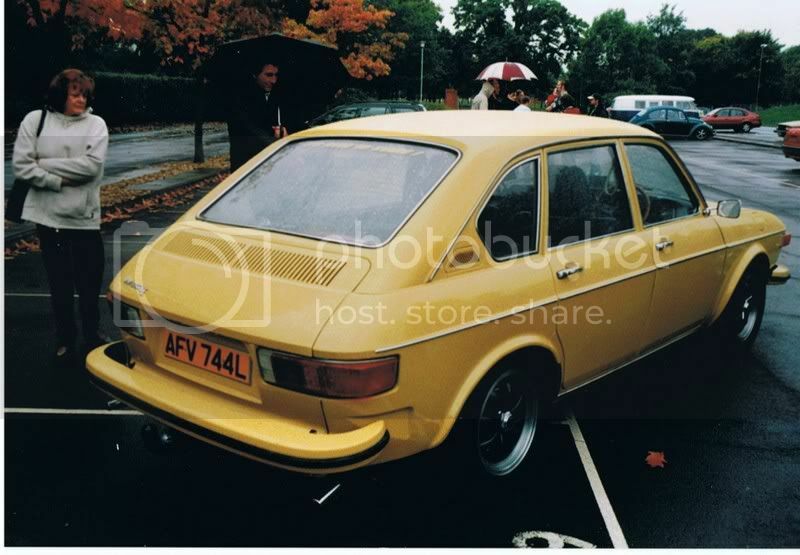 ..i also owned THIS car in its Teledial/leather interior stage; i won it on ebay for @ £450 & sold it less than a year later for the same pric eto a couple who wanted to DRAG RACE it! 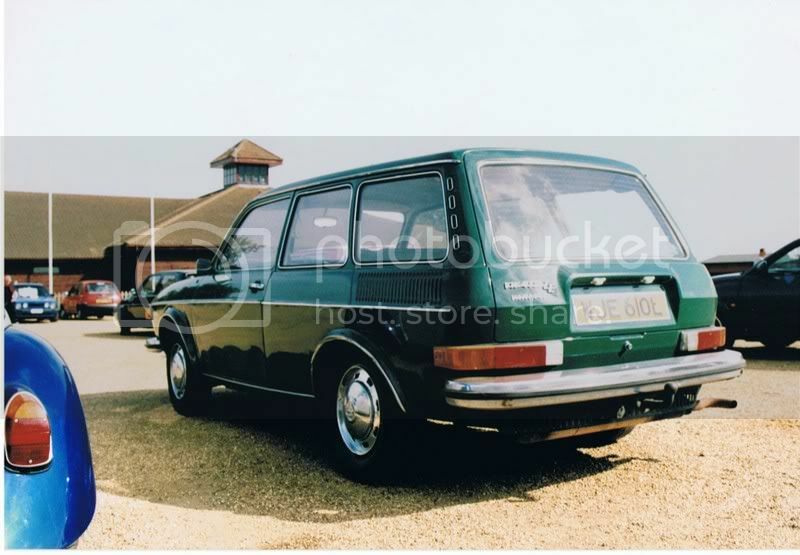 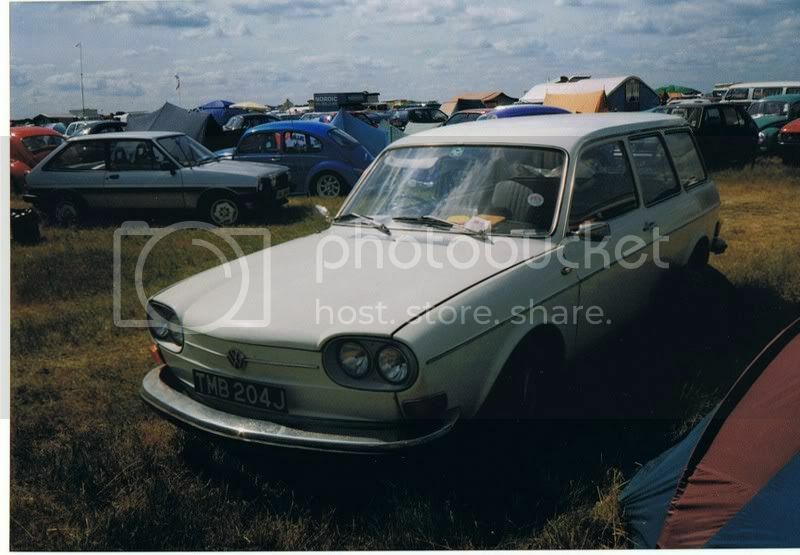 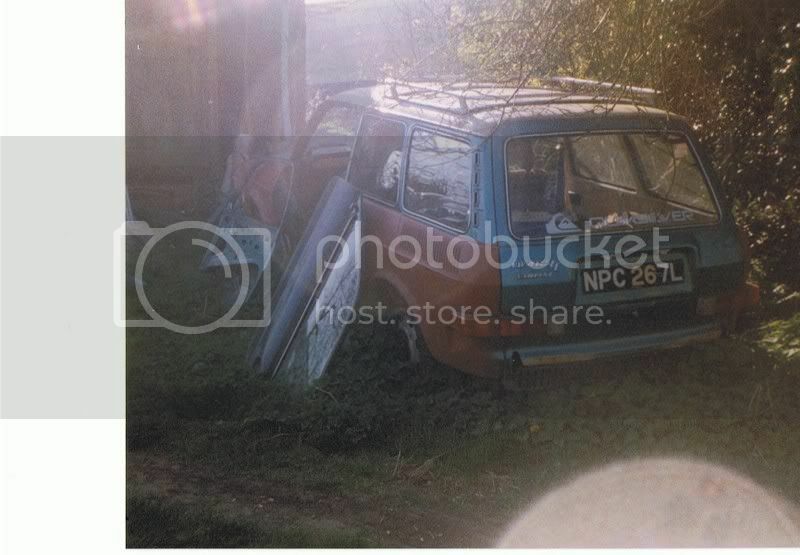 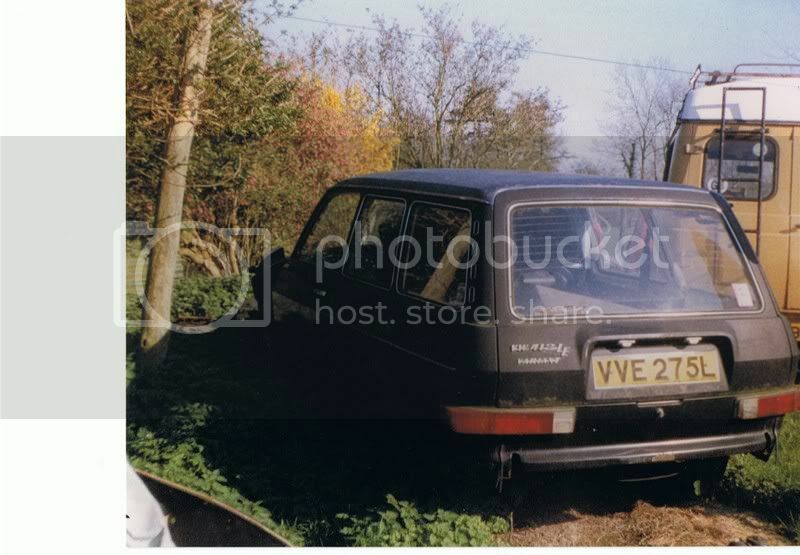 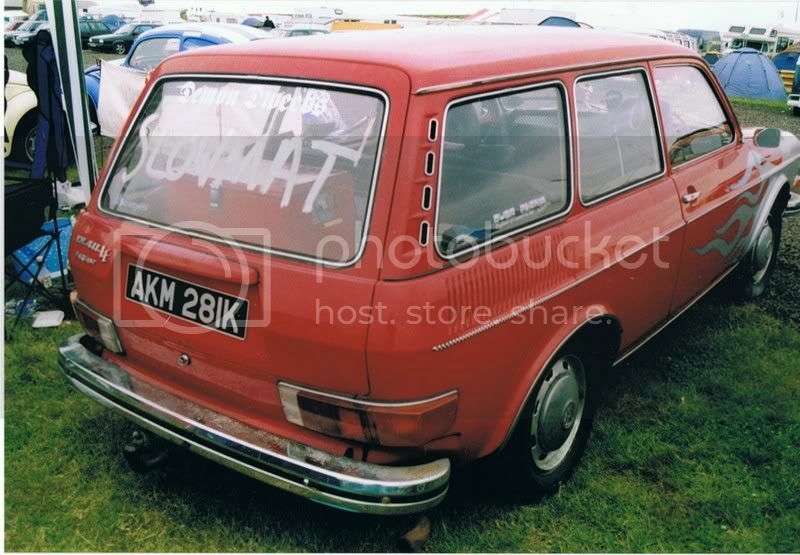 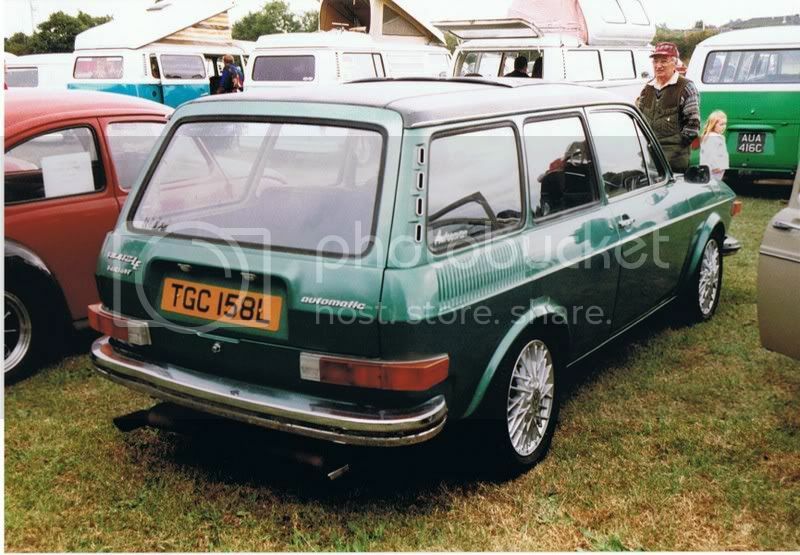 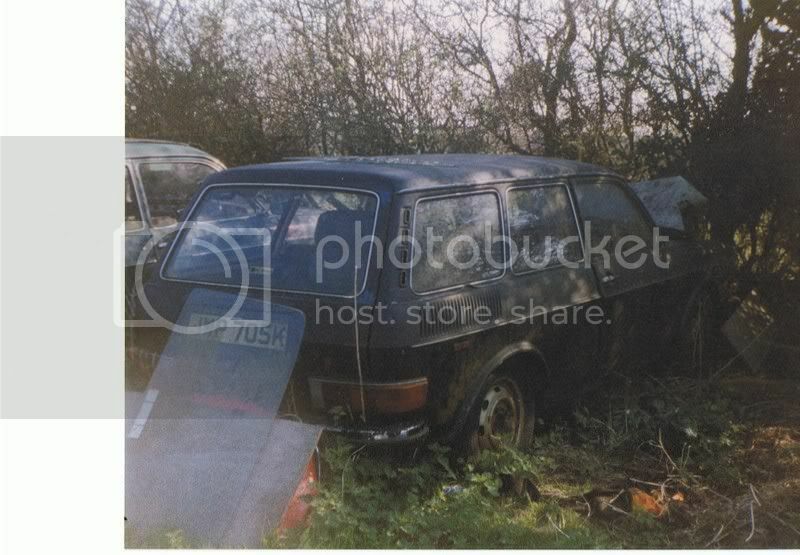 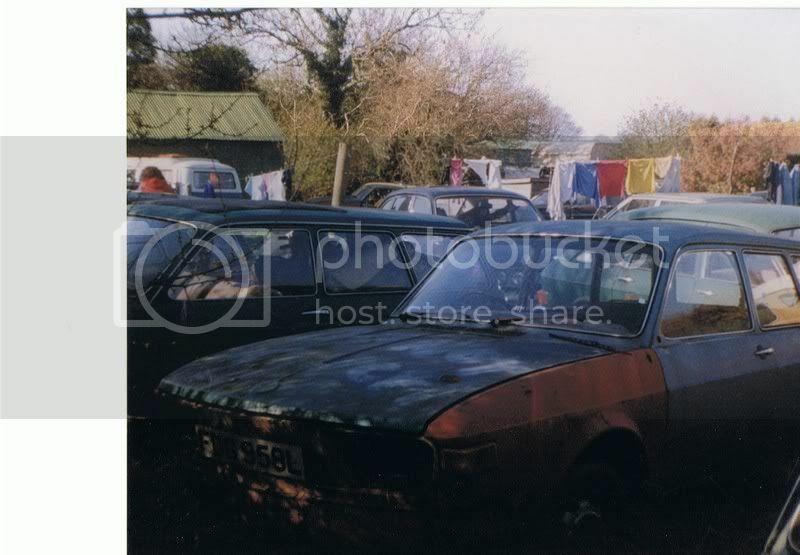 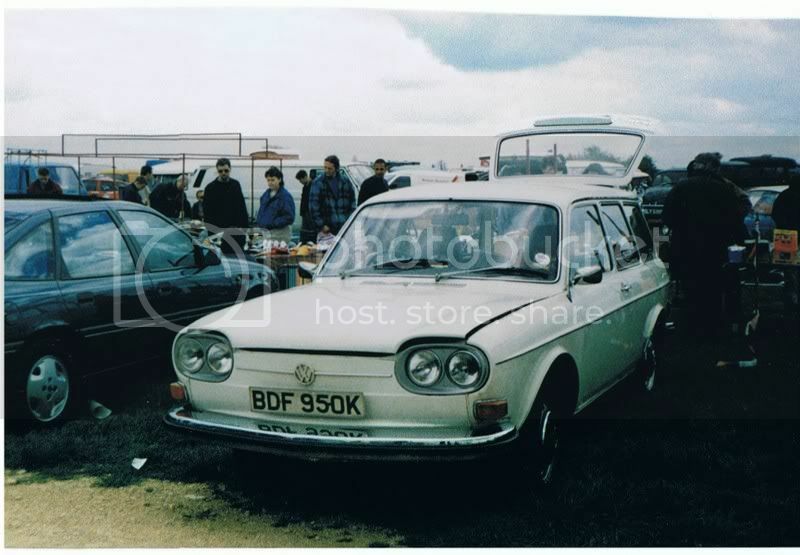 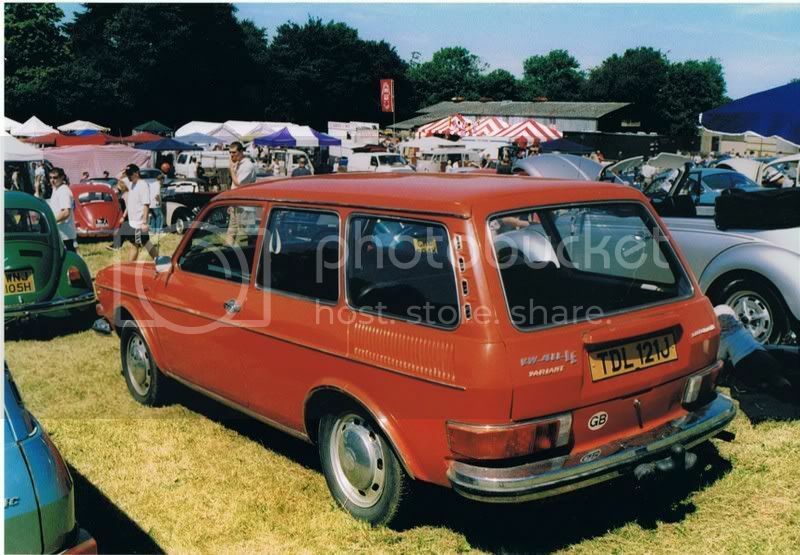 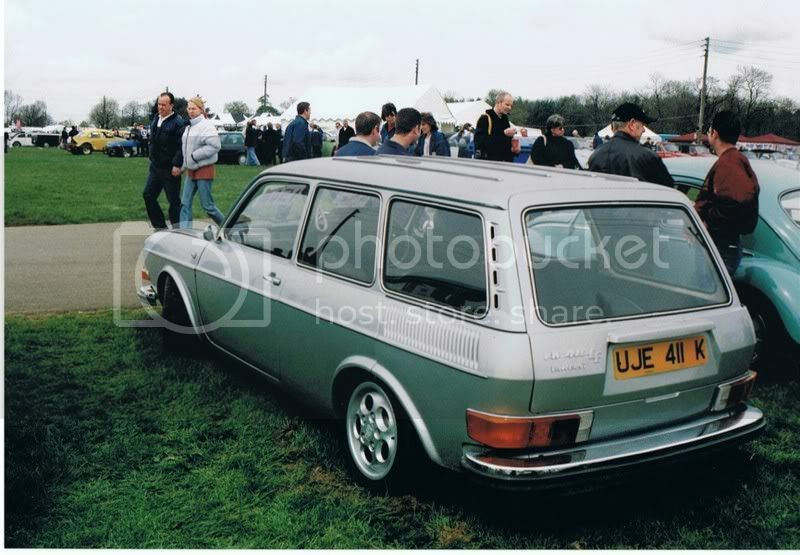 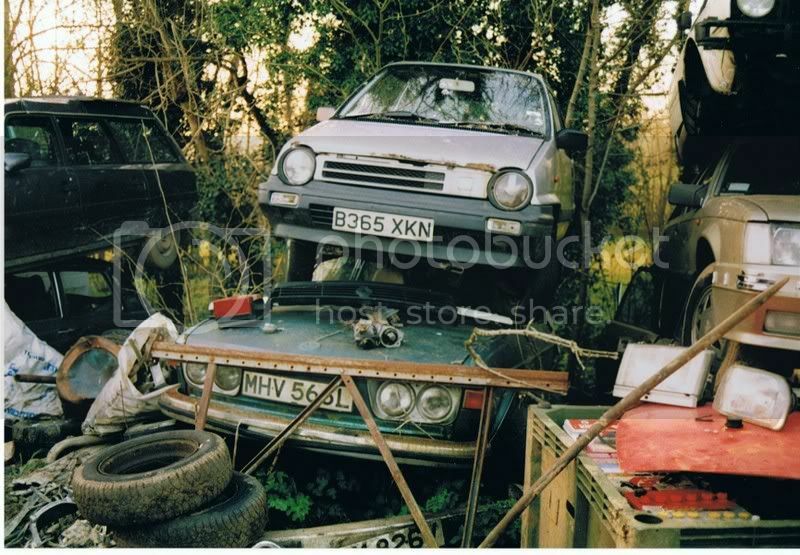 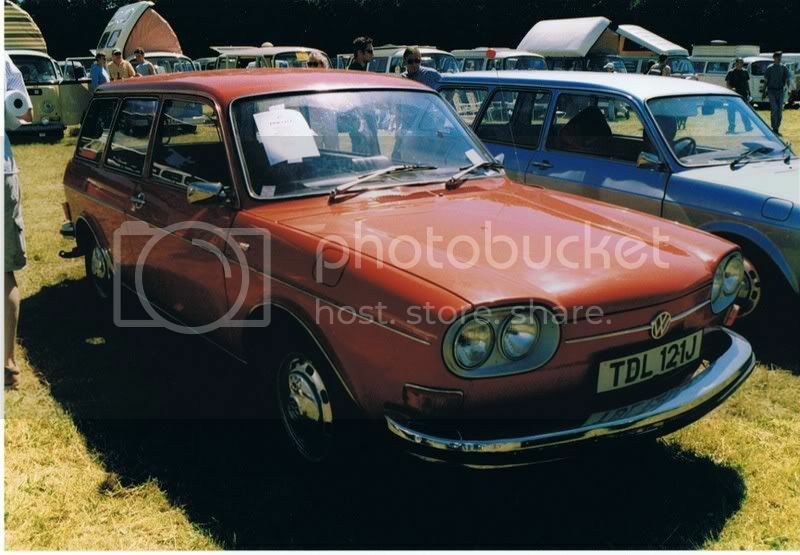 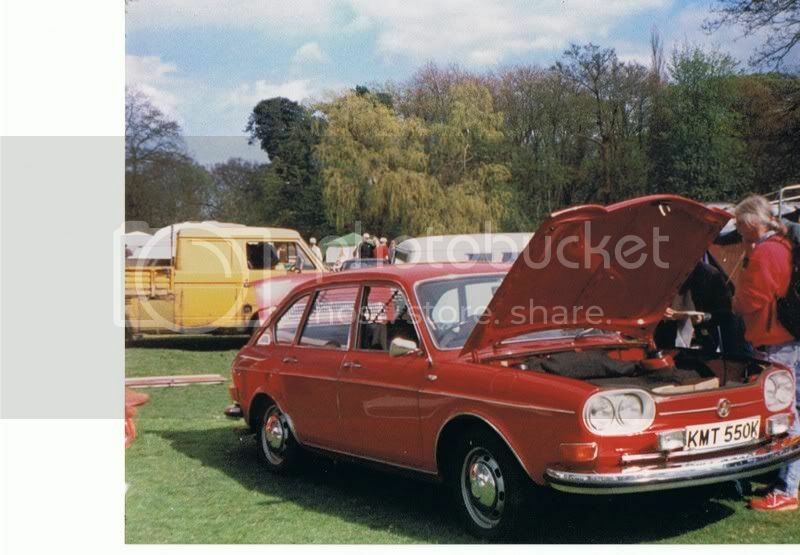 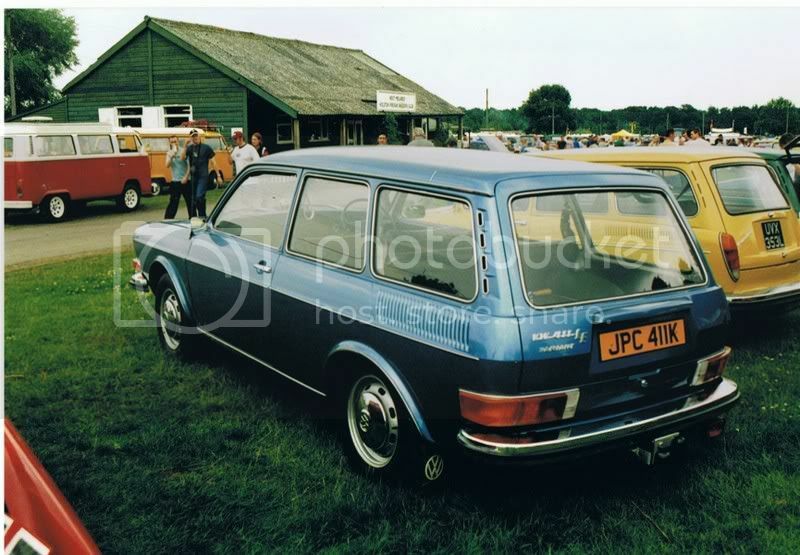 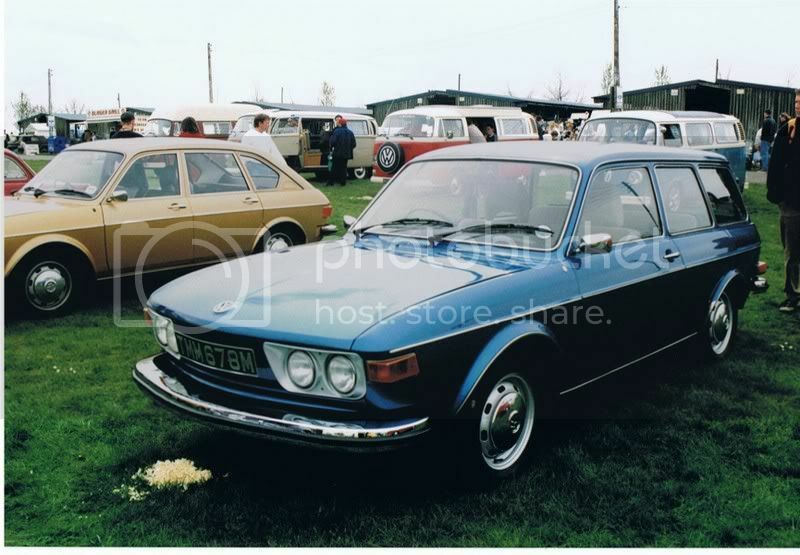 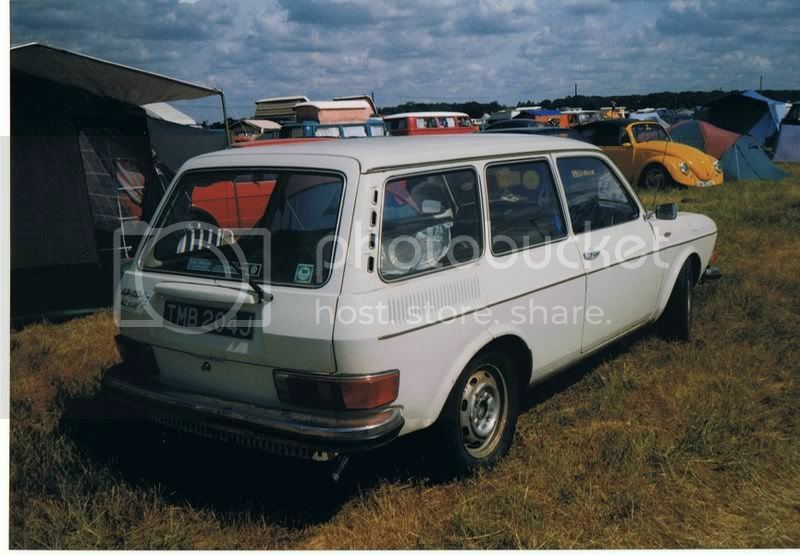 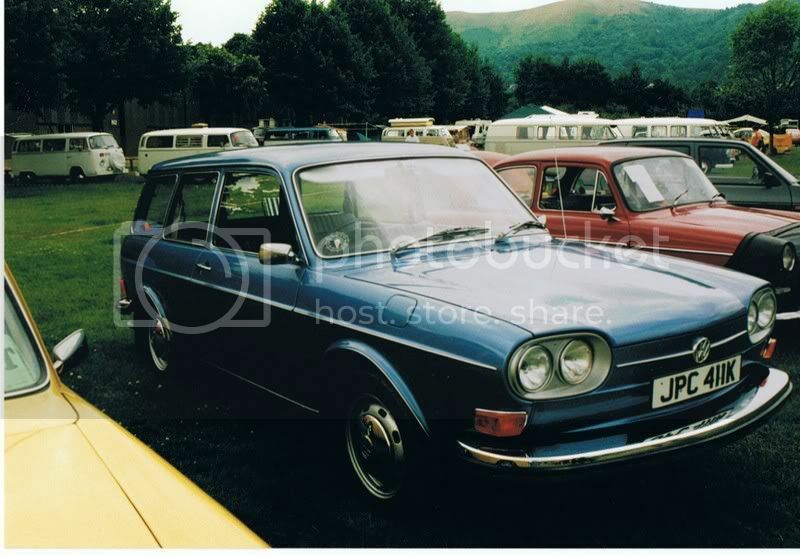 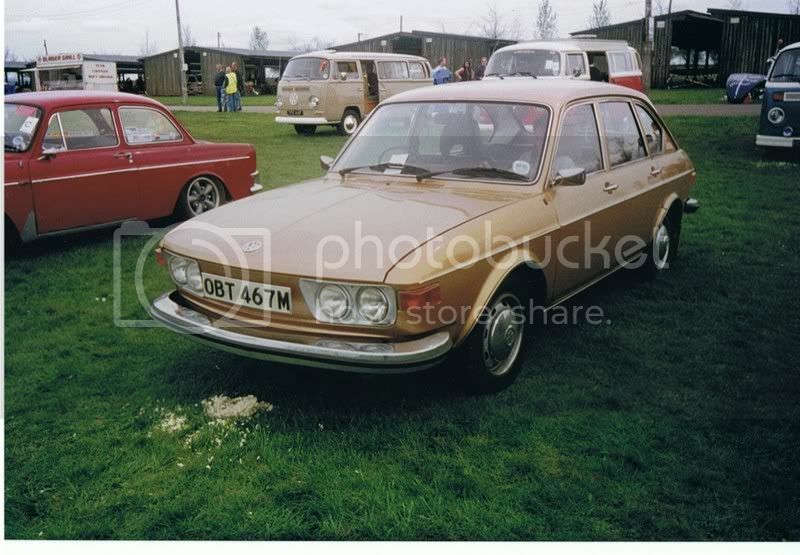 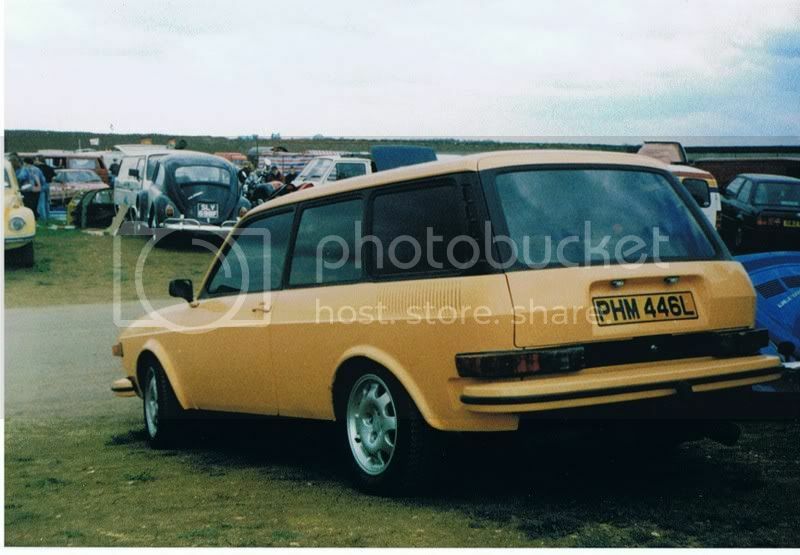 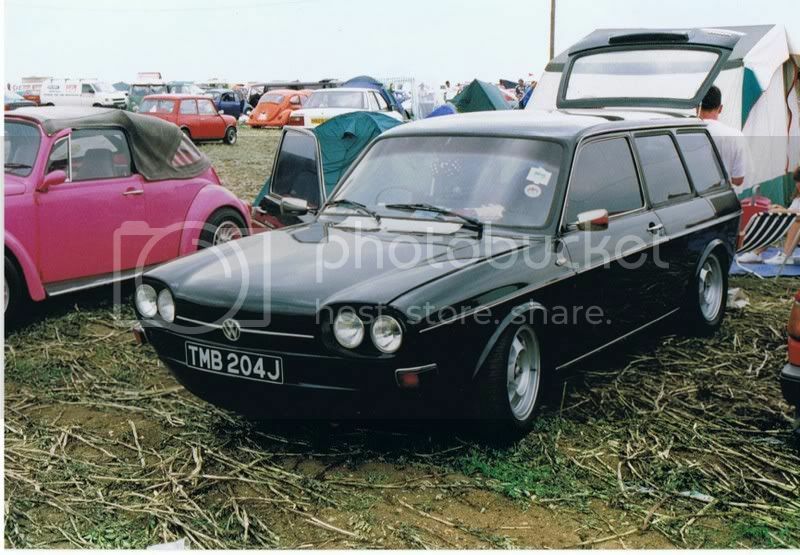 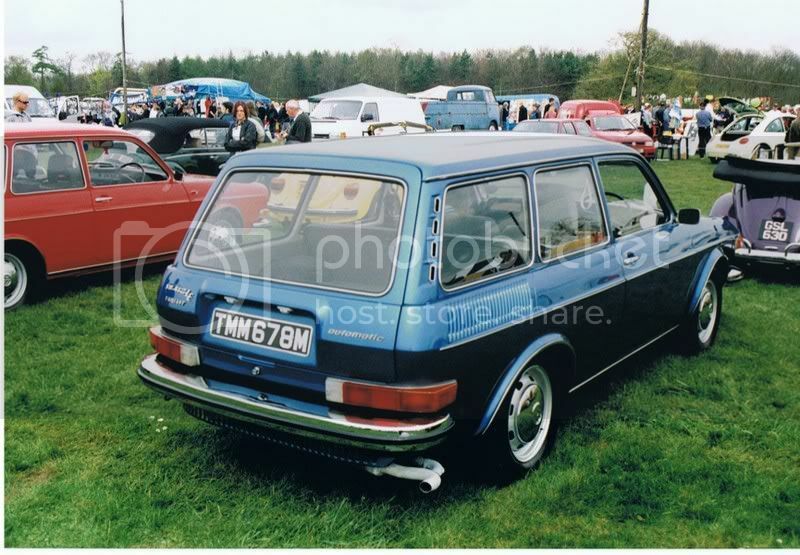 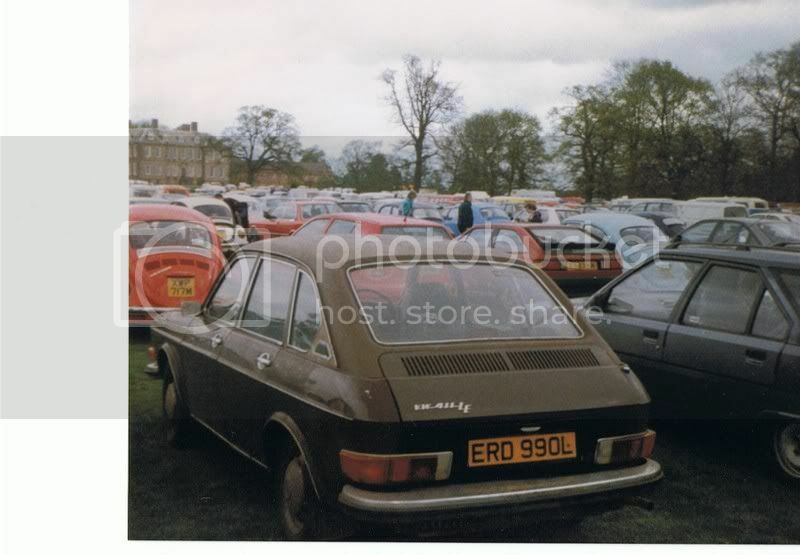 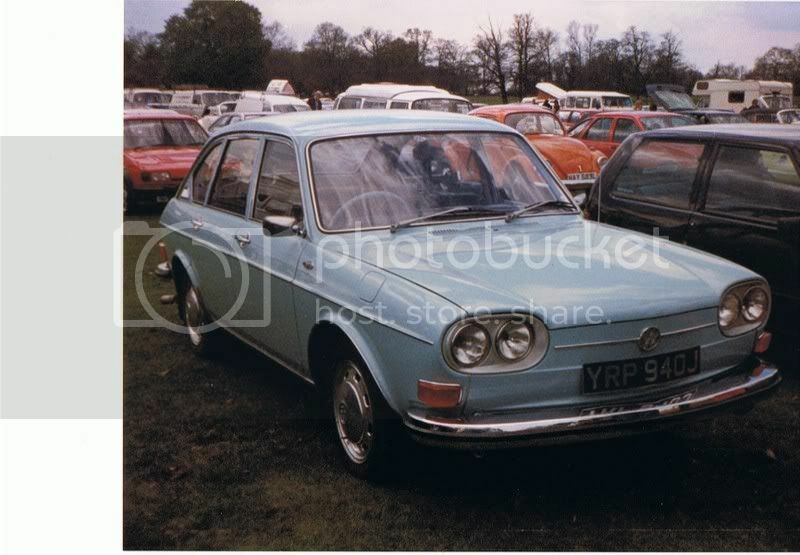 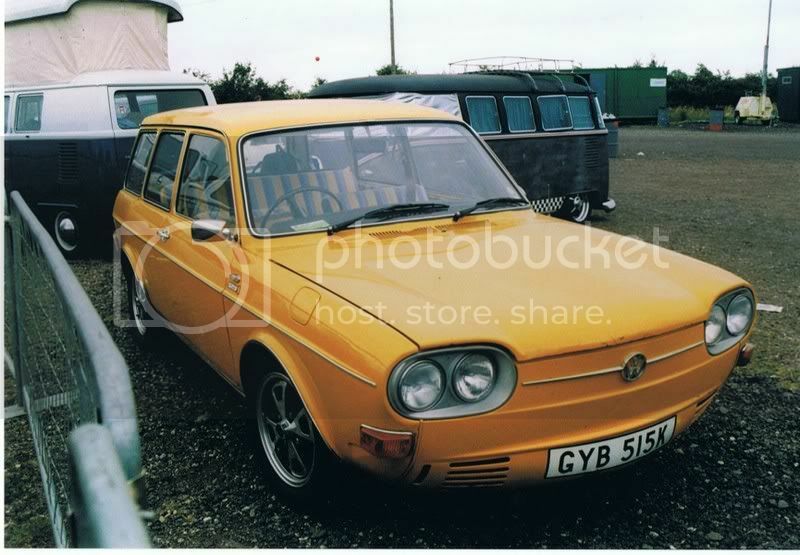 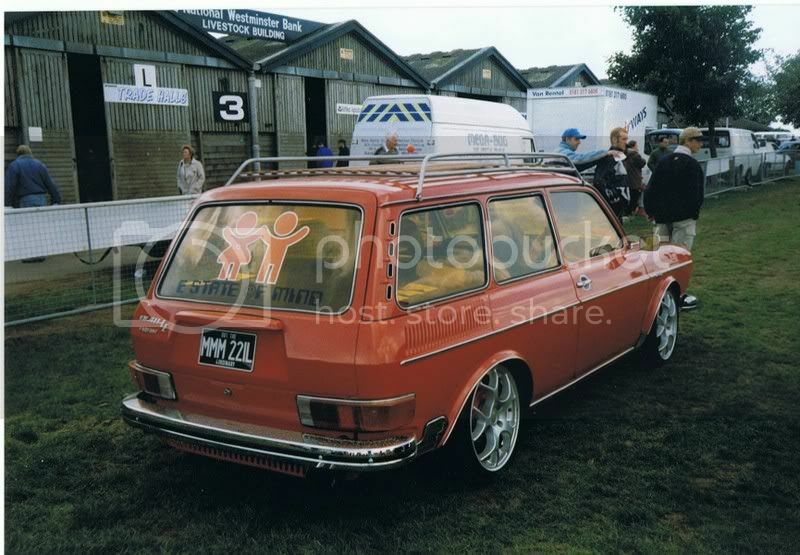 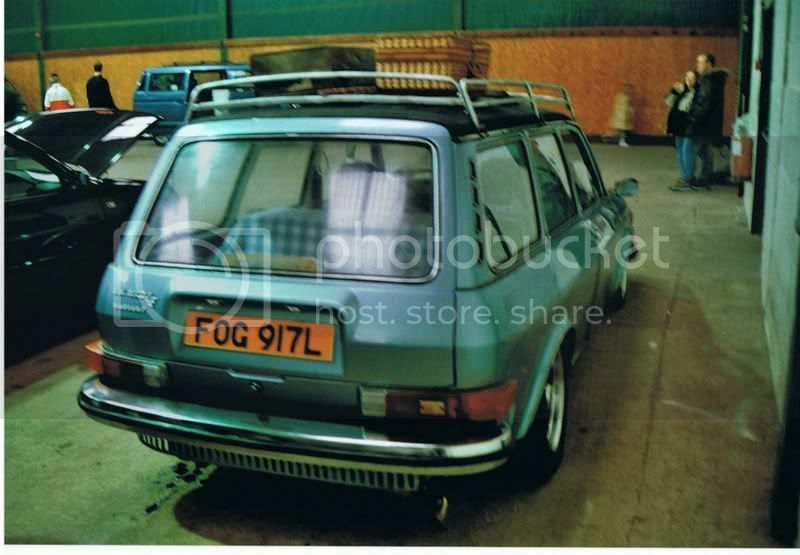 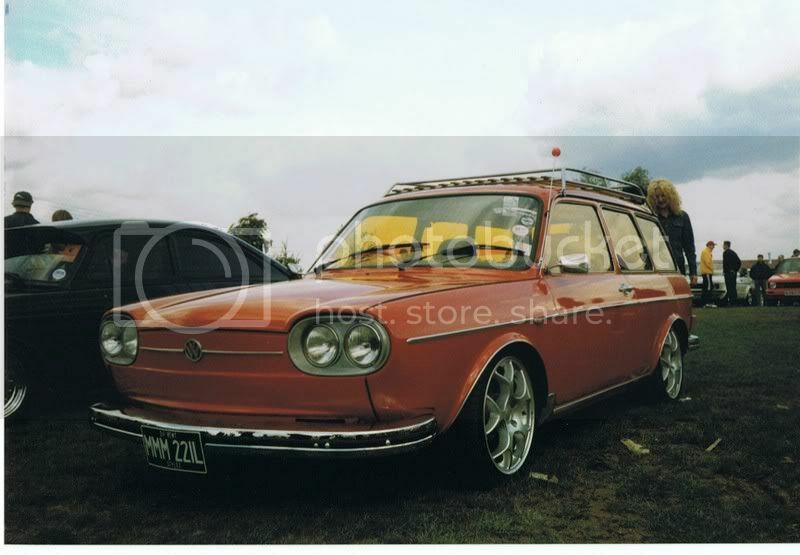 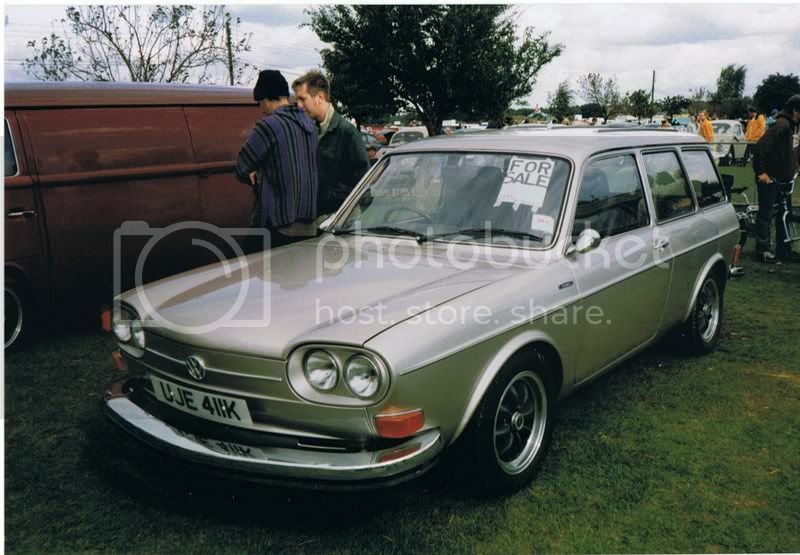 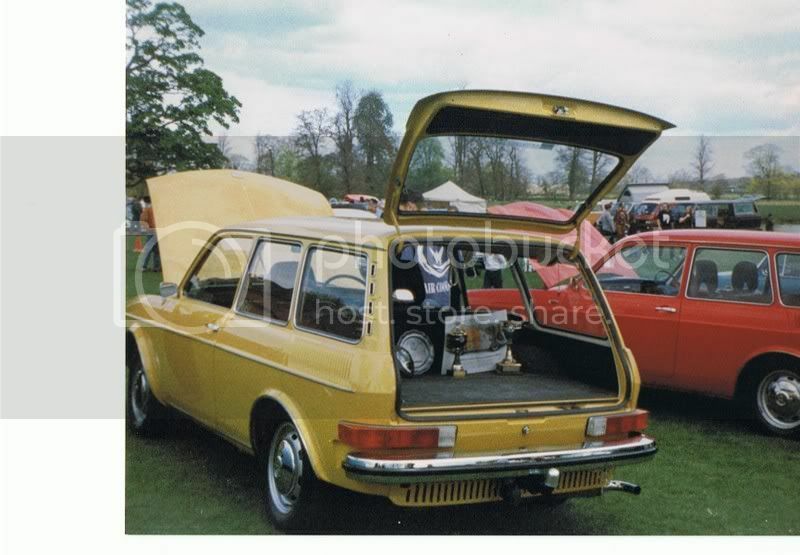 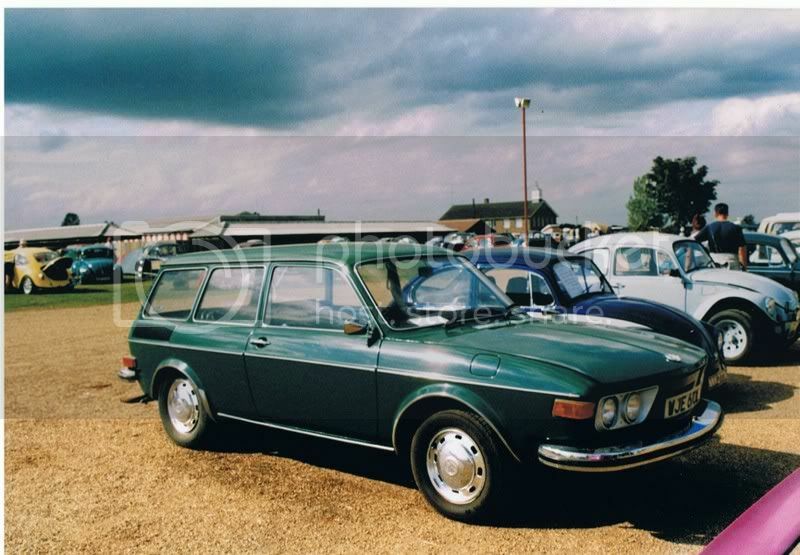 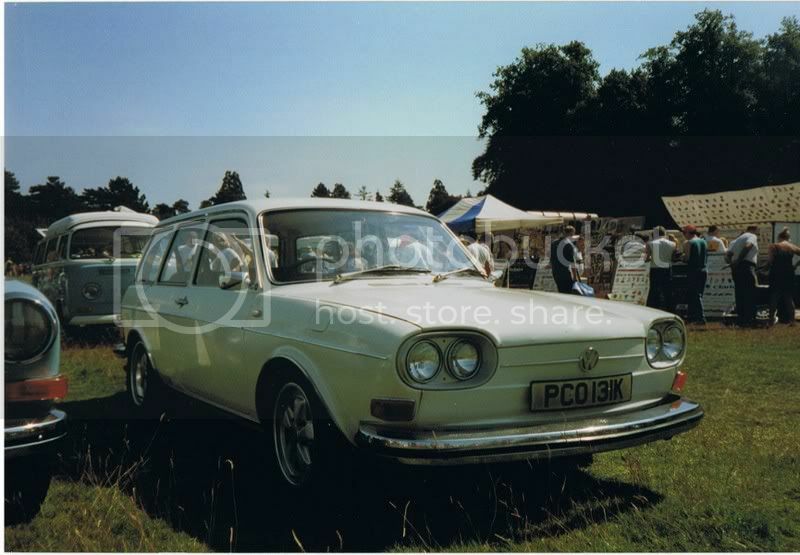 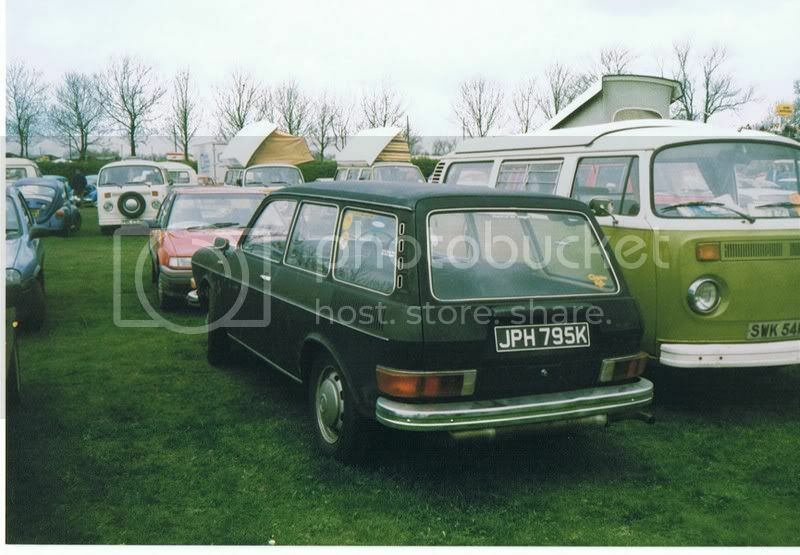 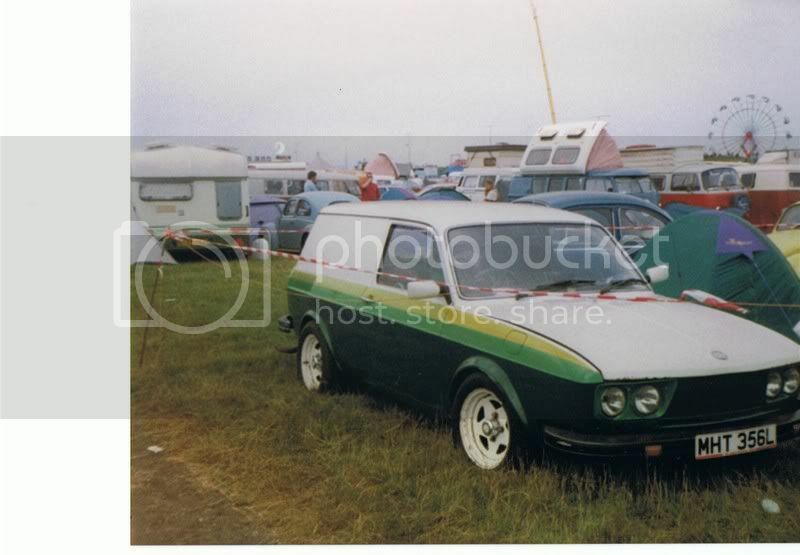 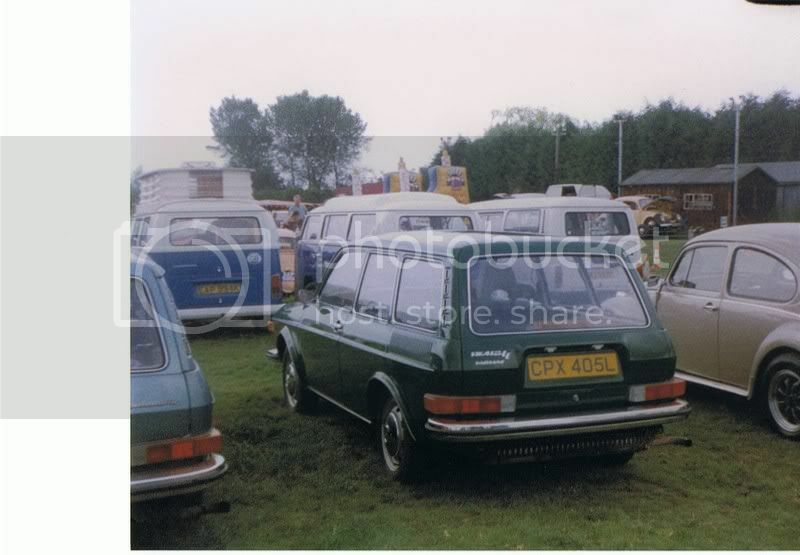 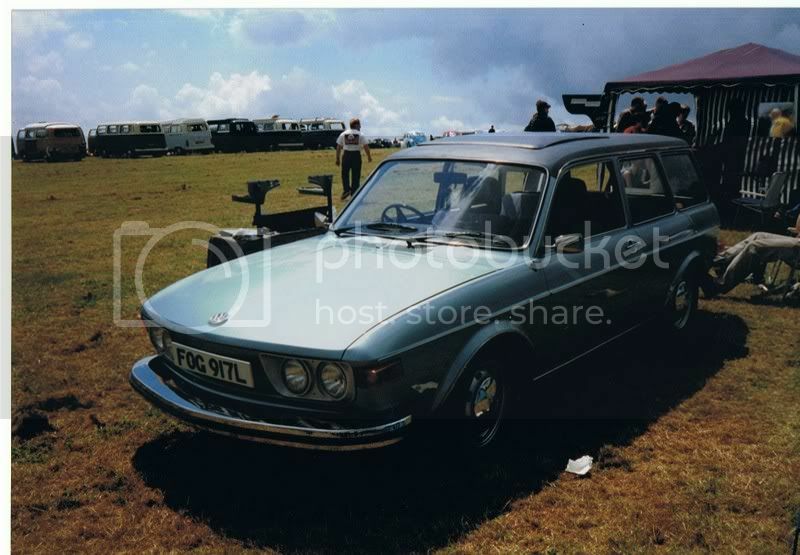 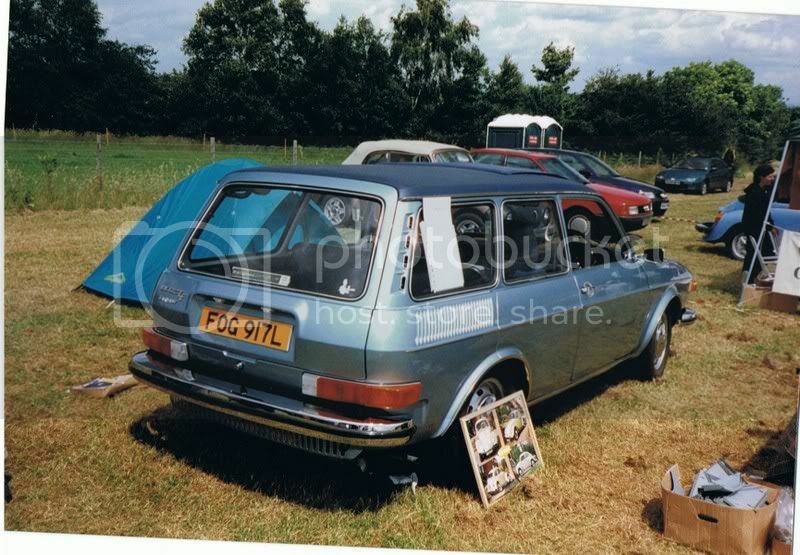 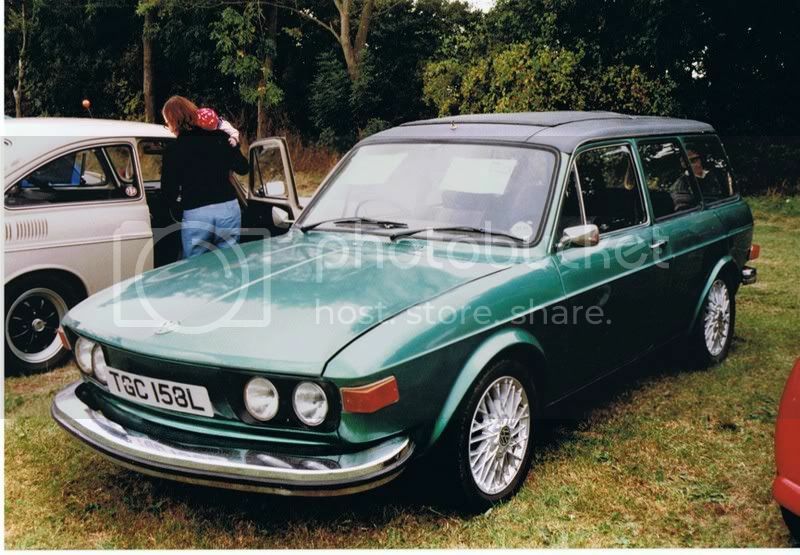 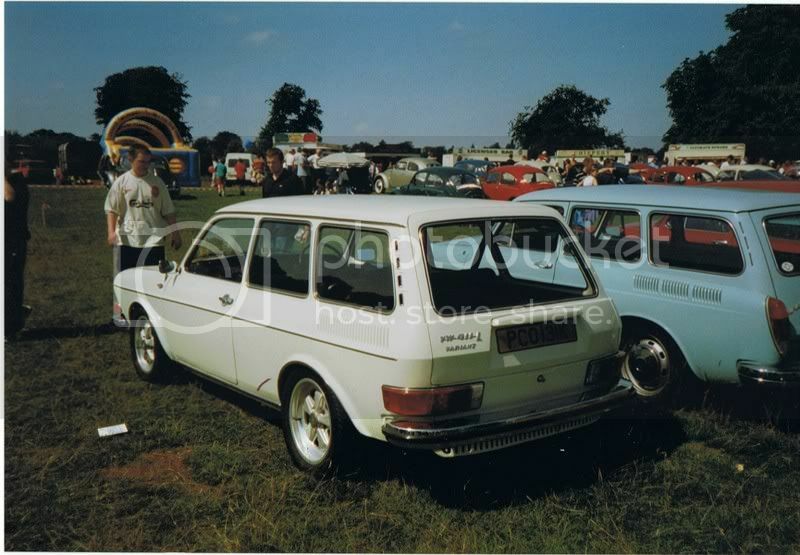 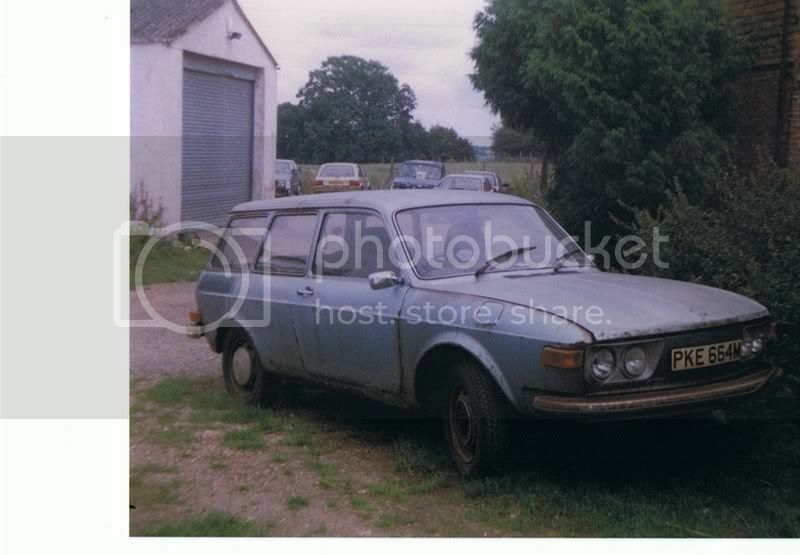 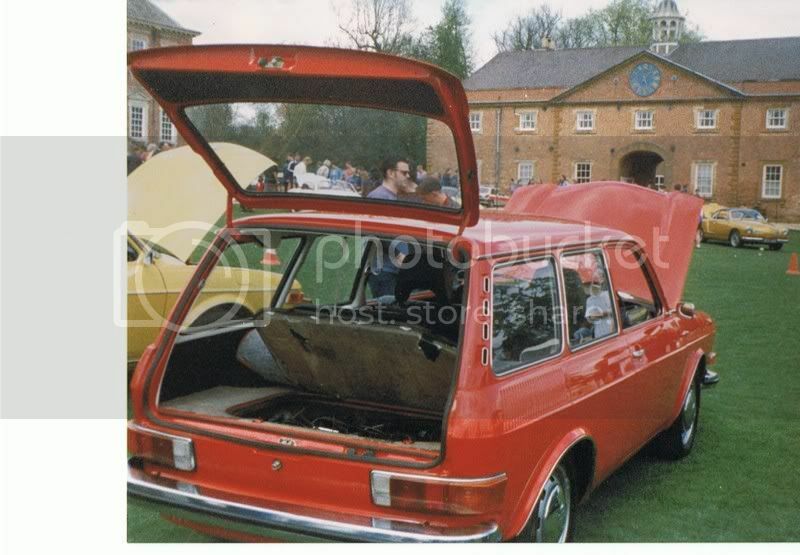 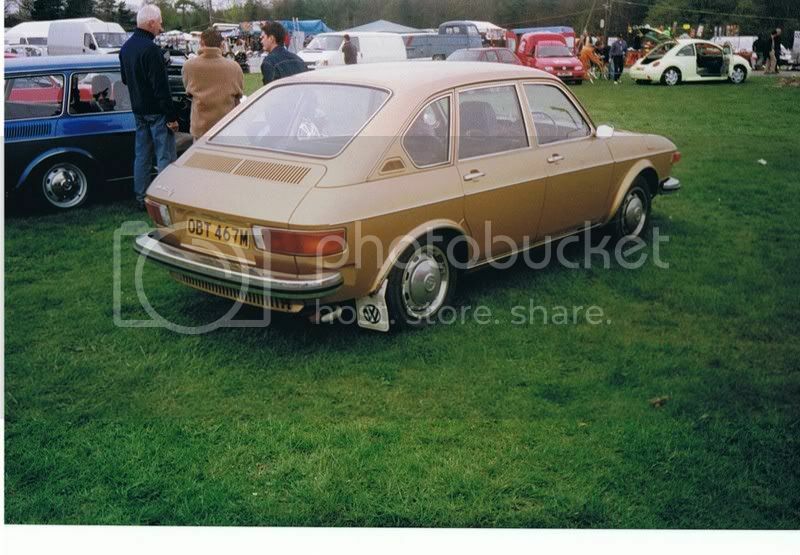 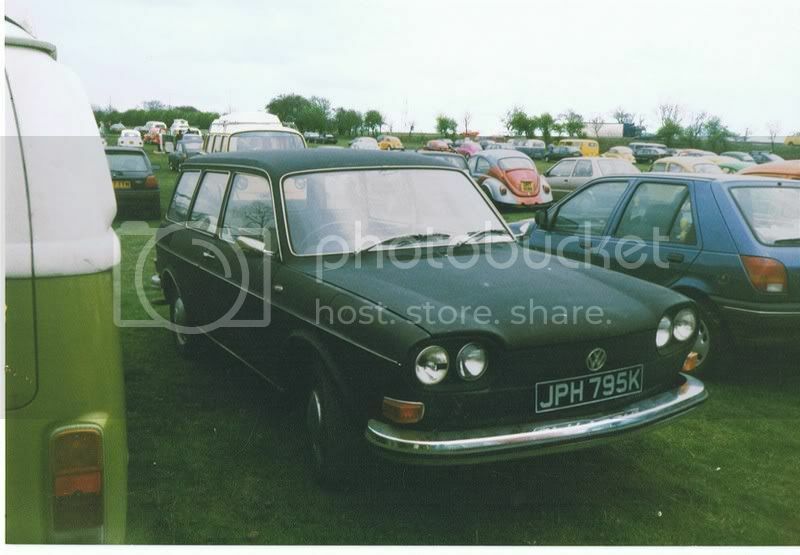 ..it was pretty damn rotten but looked great with those wheels AND the roof bars..
Squaring it again, all too soon..
pitty its not an estate as if i dont do anything else in this life i'm going to have one of those estates! 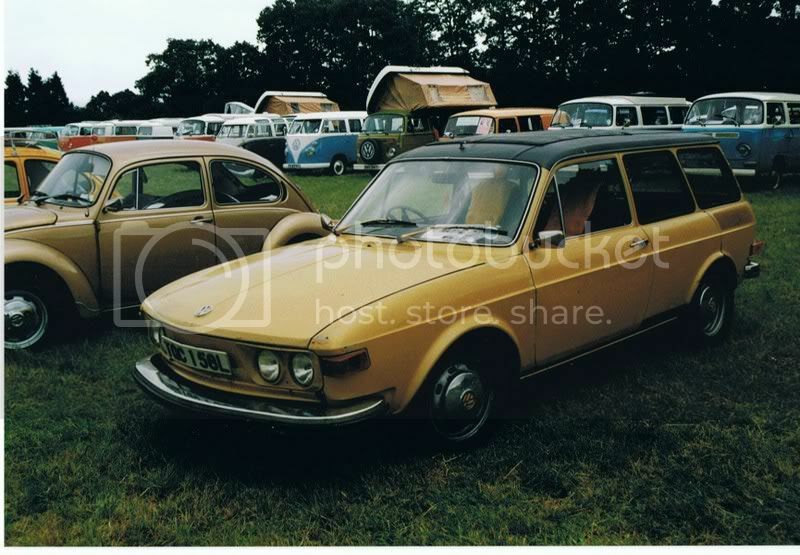 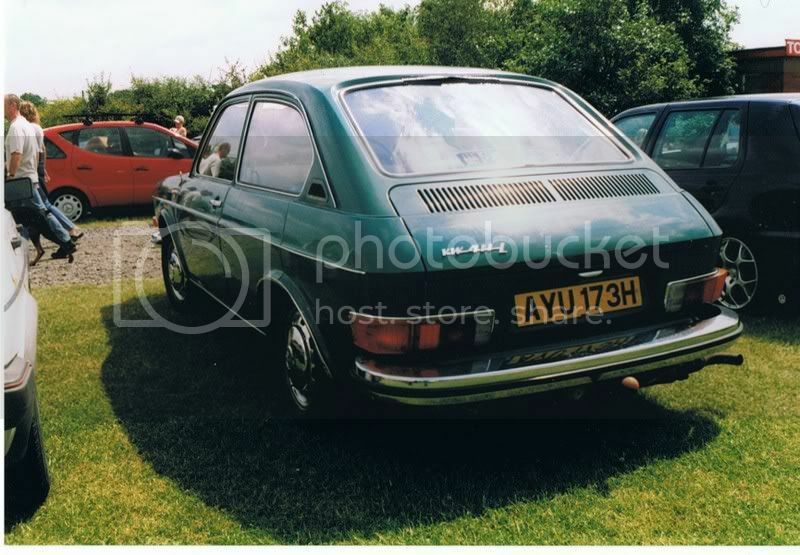 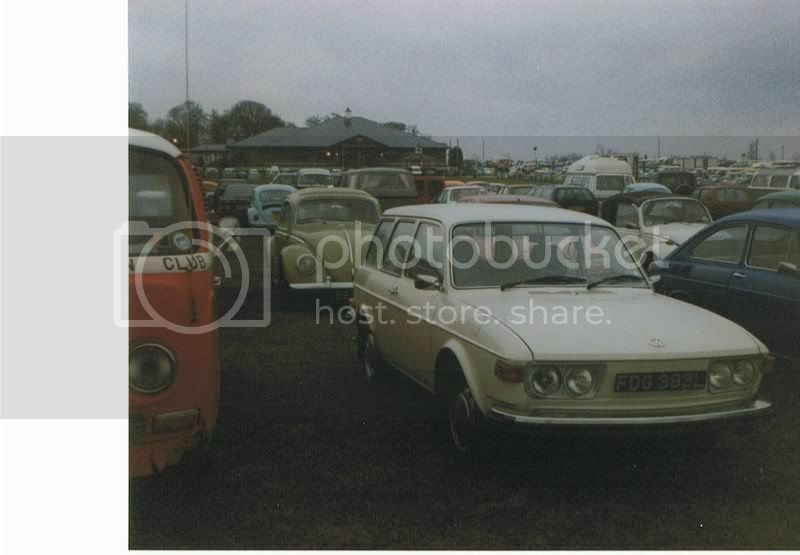 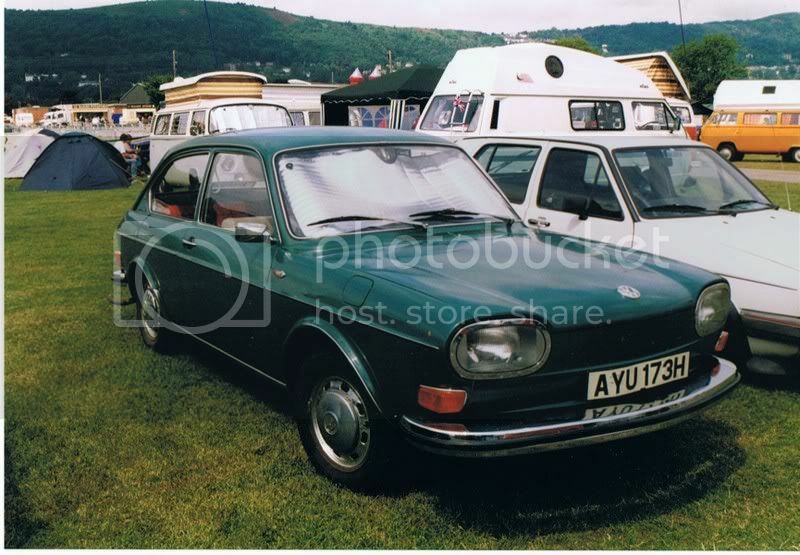 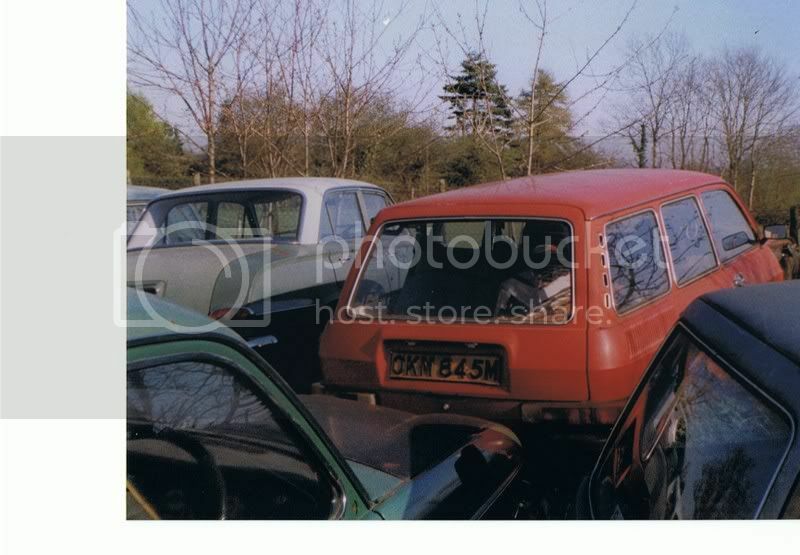 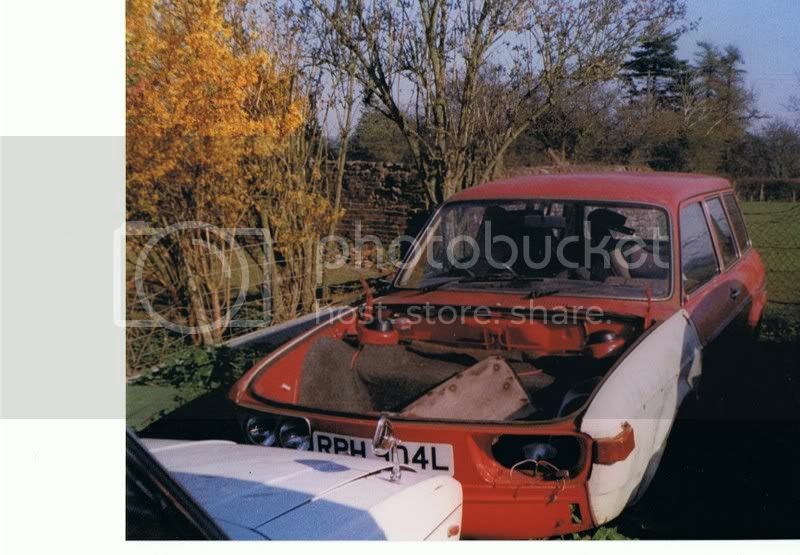 i've just restored a type3 square but i really want a type4.......nice lot of pics danny.